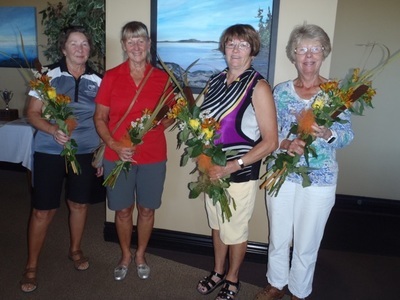 Congratulations to all the ladies who played in the Net Tournament this week. 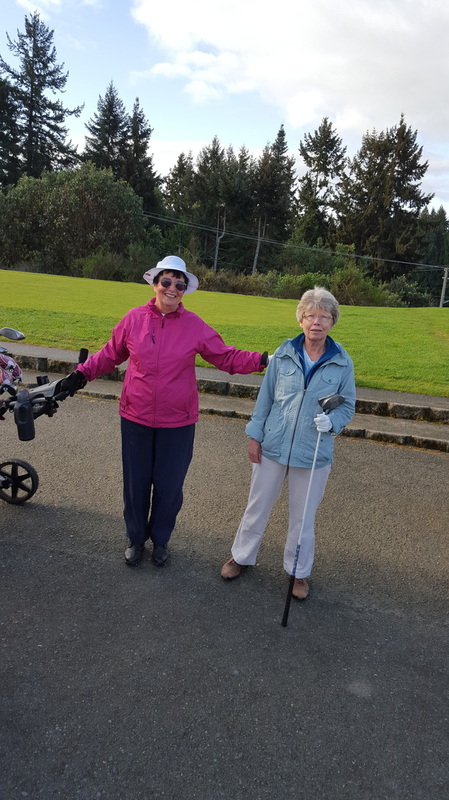 It was an extremely close competition! 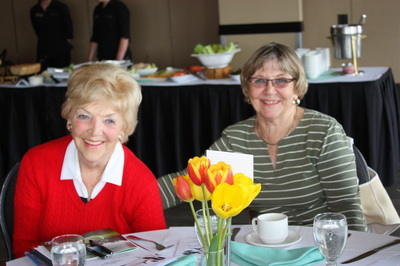 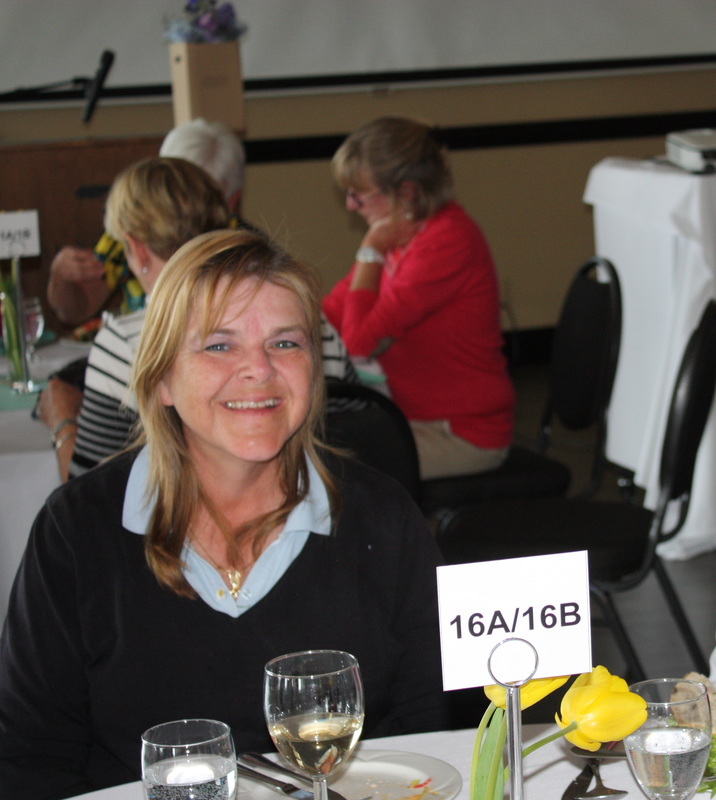 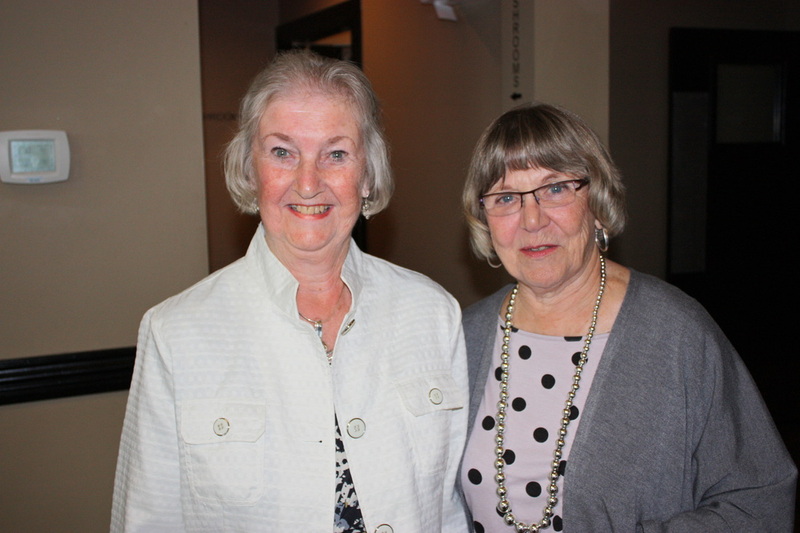 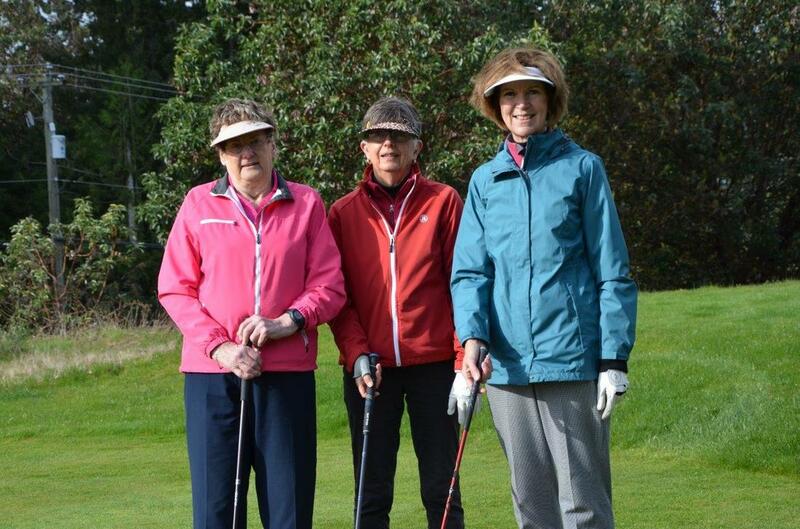 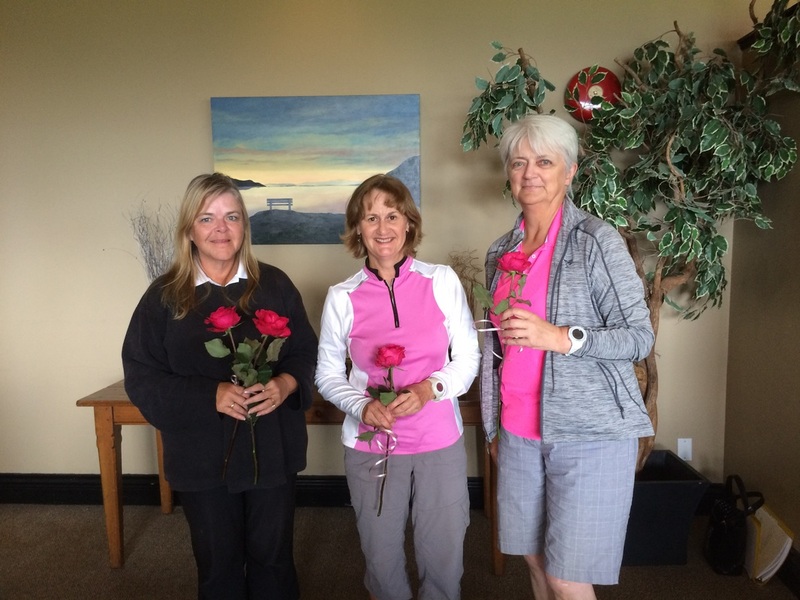 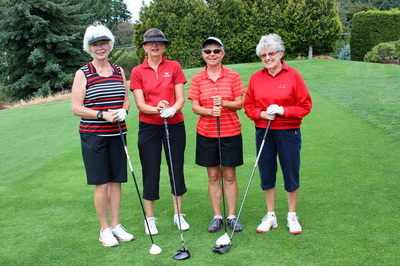 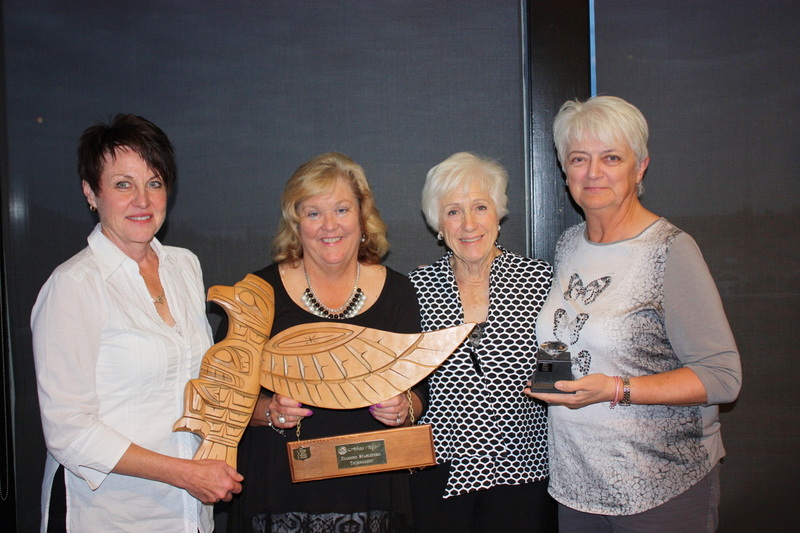 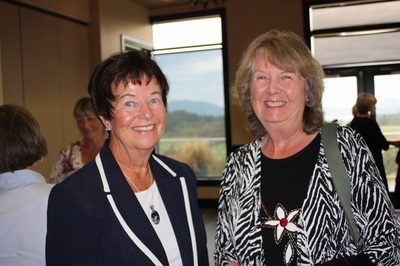 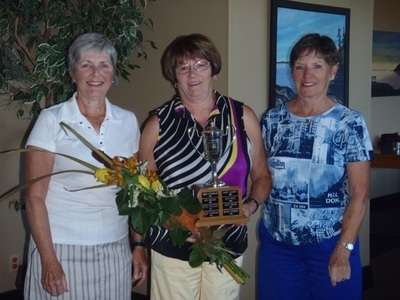 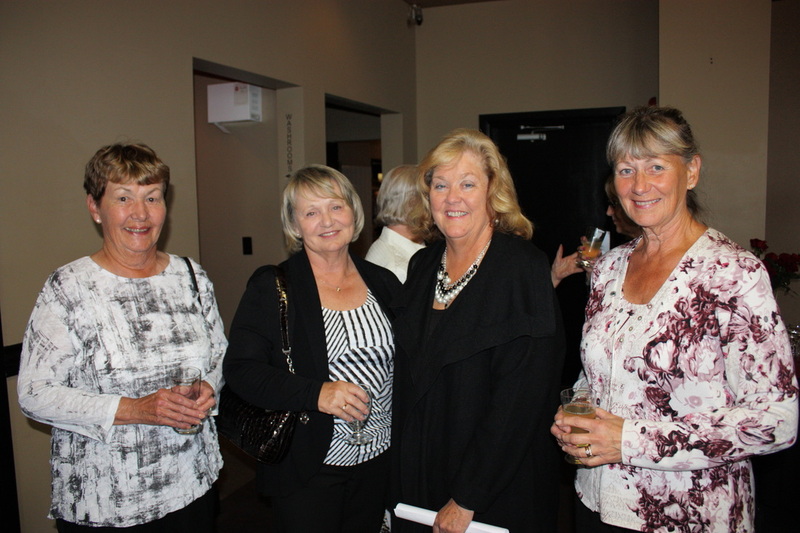 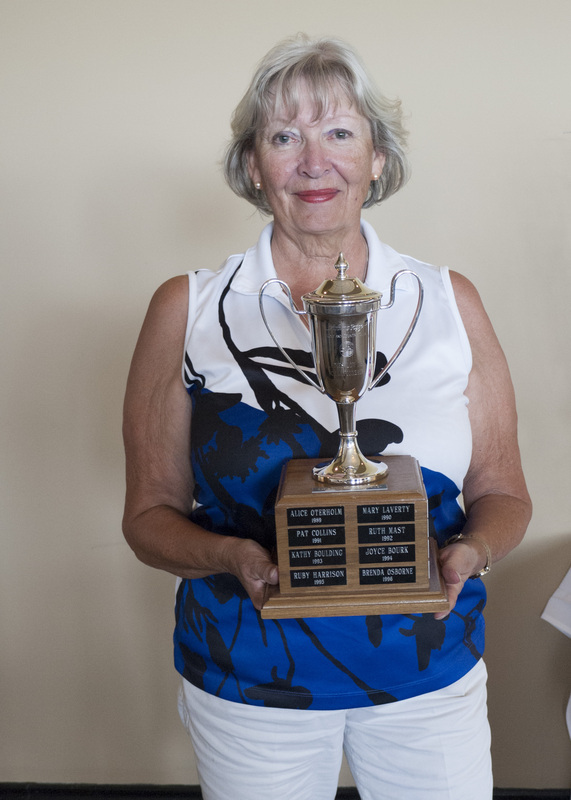 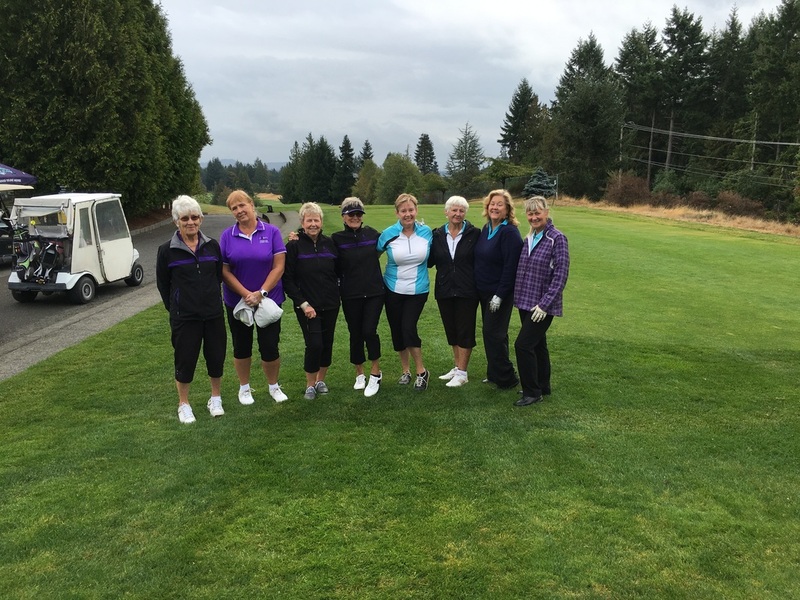 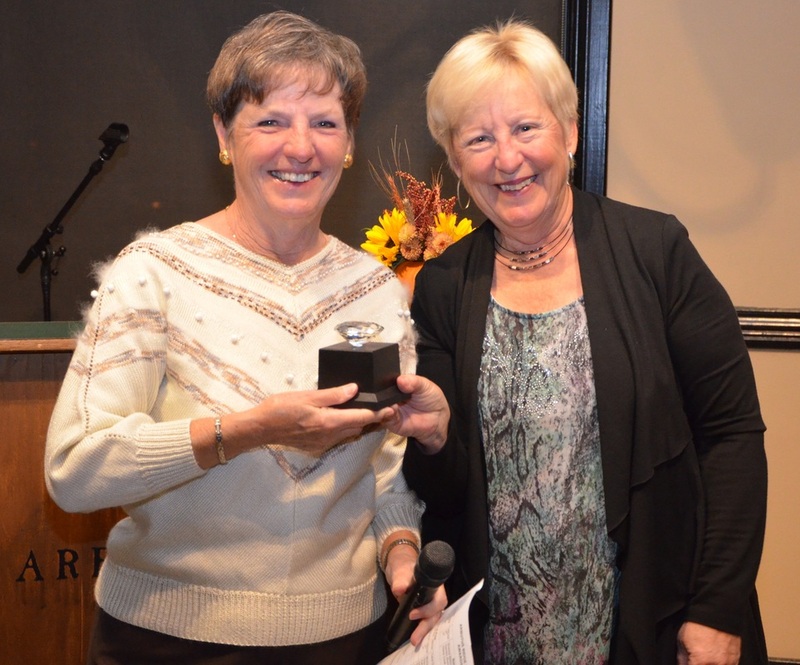 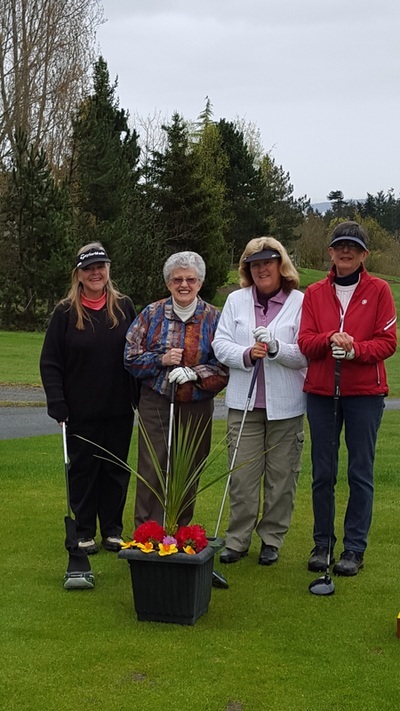 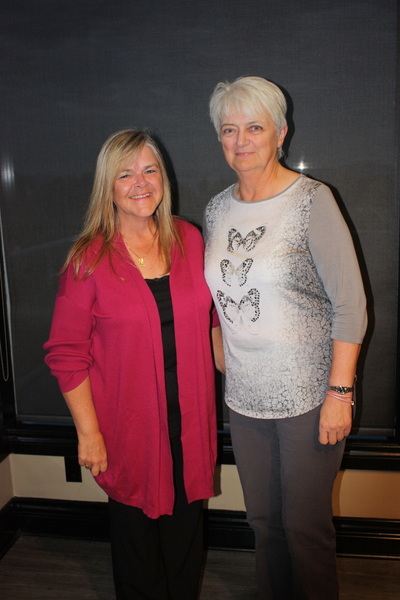 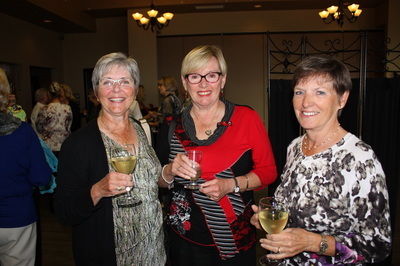 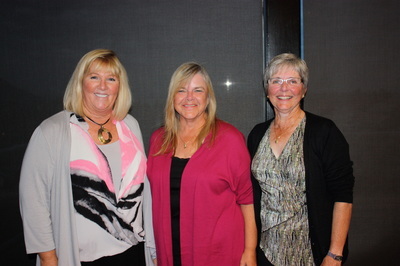 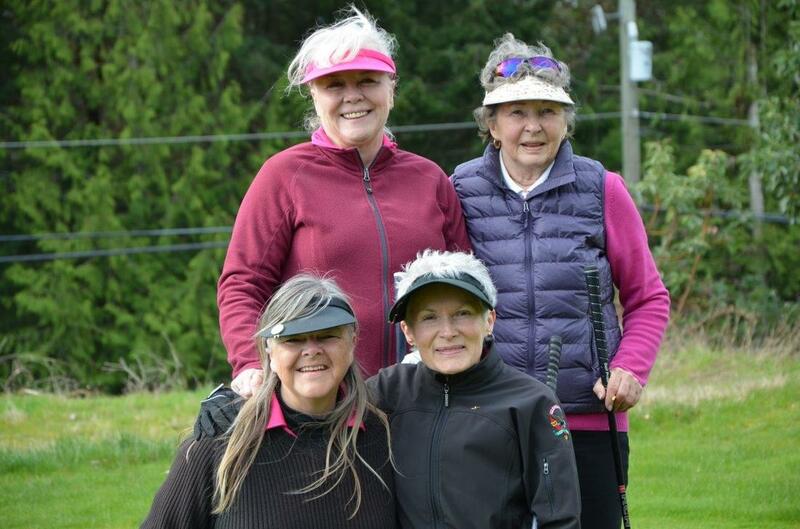 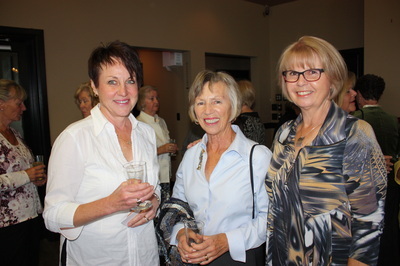 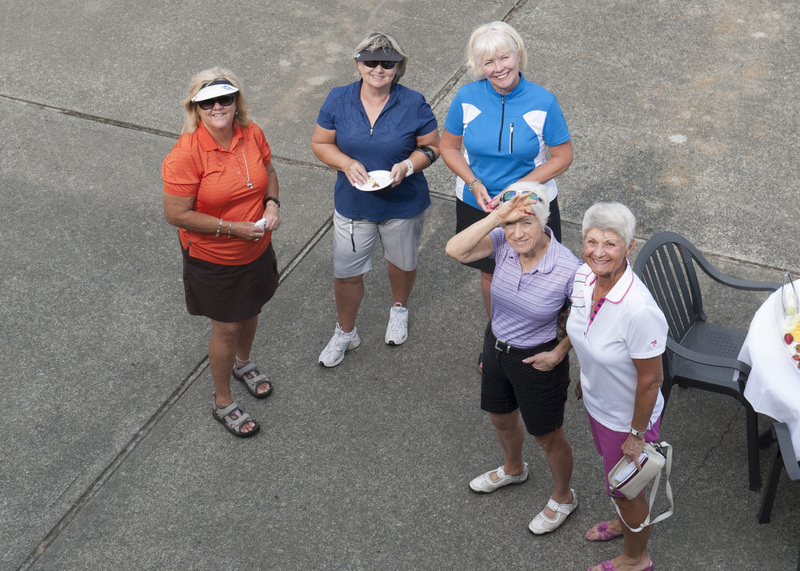 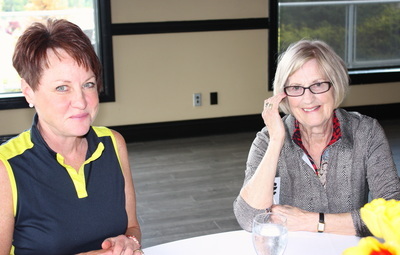 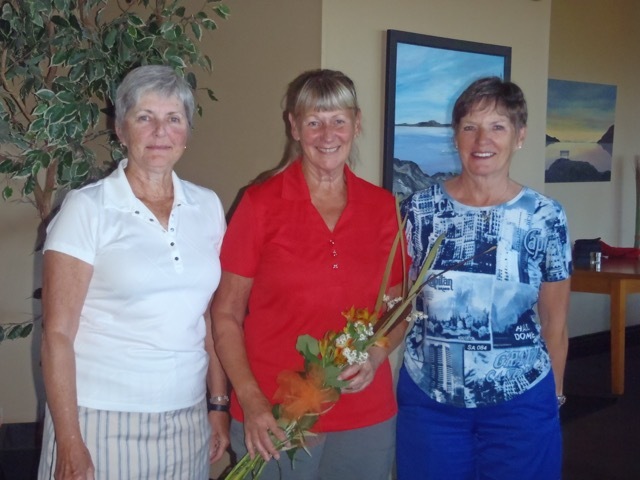 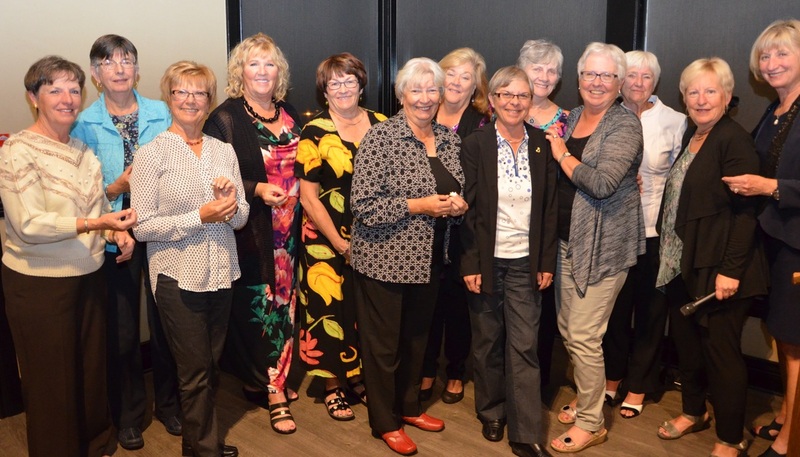 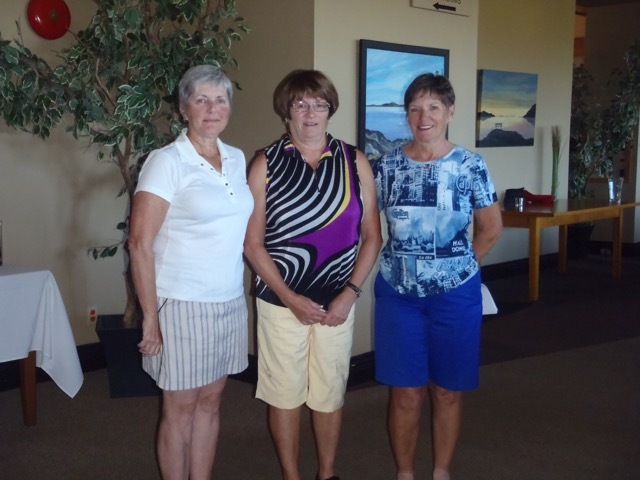 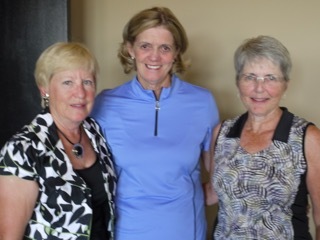 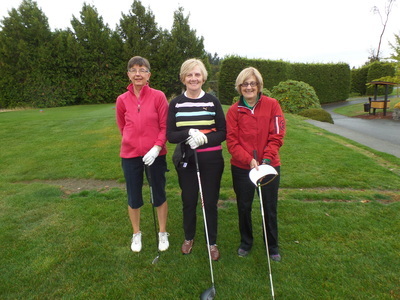 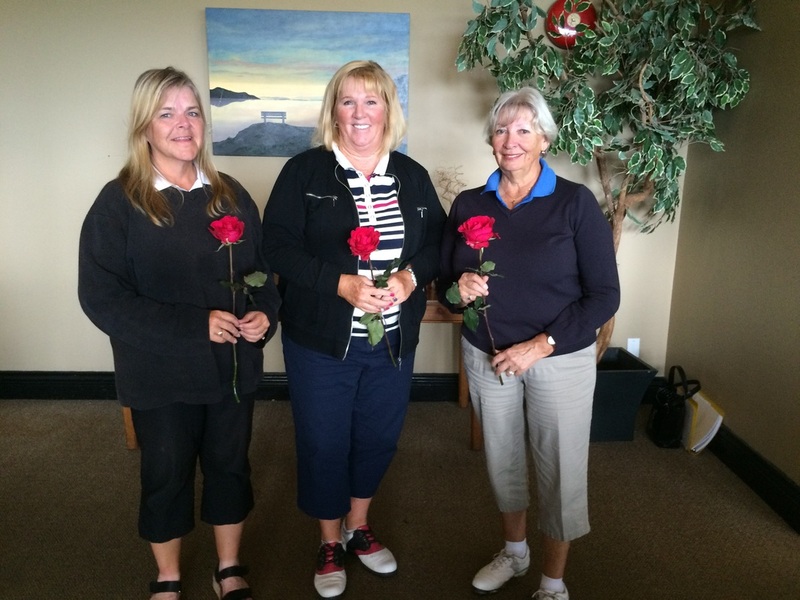 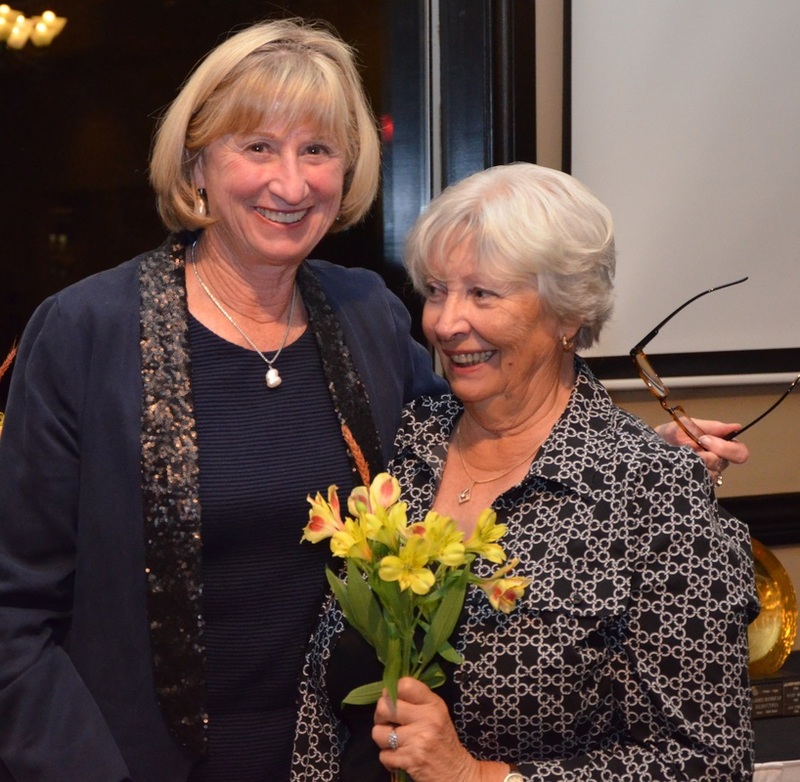 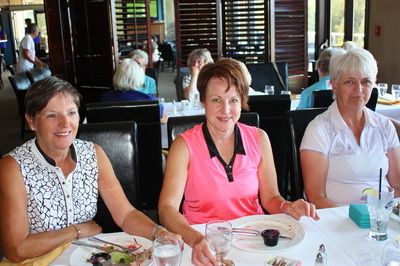 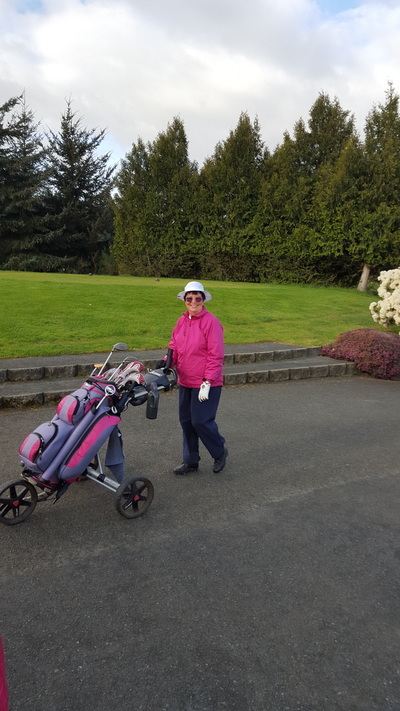 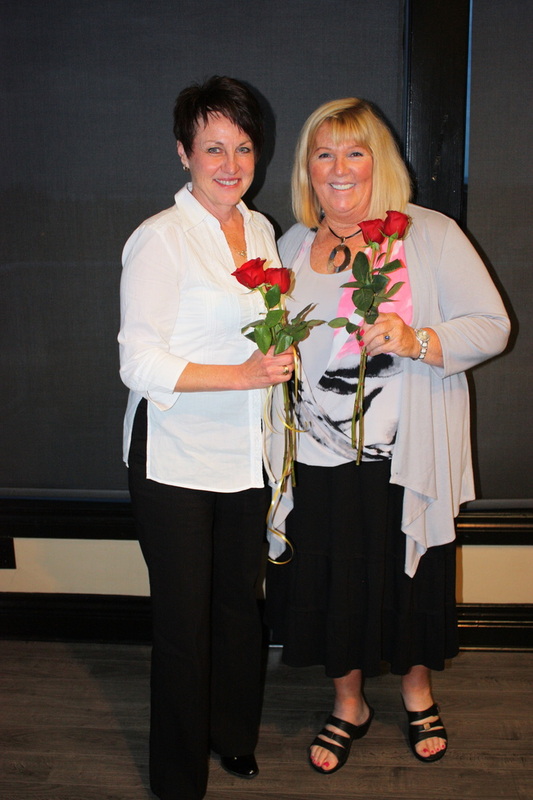 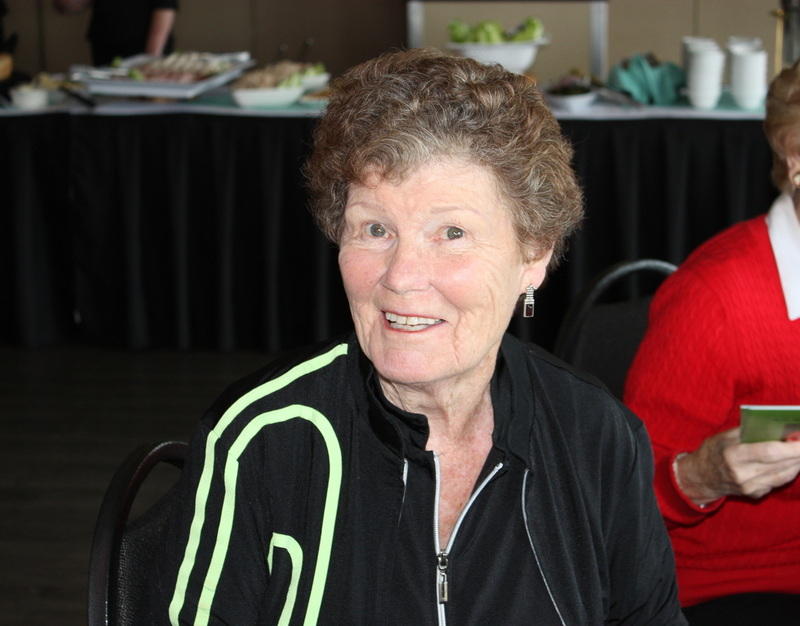 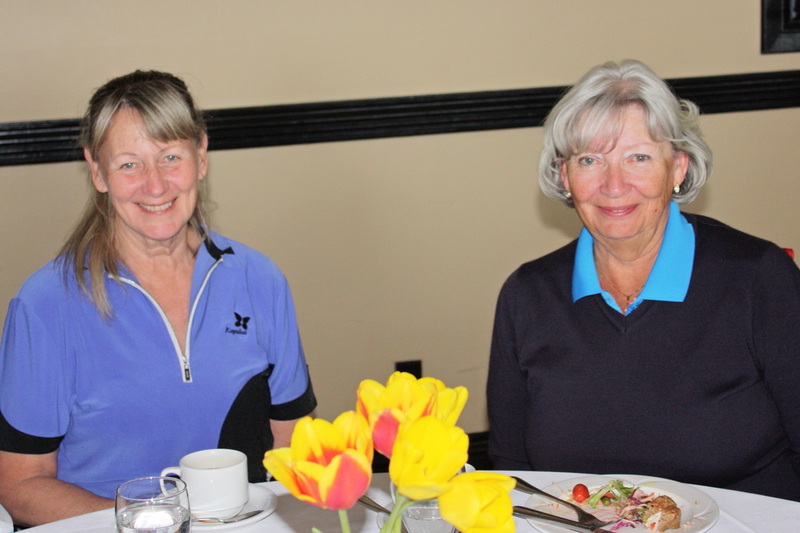 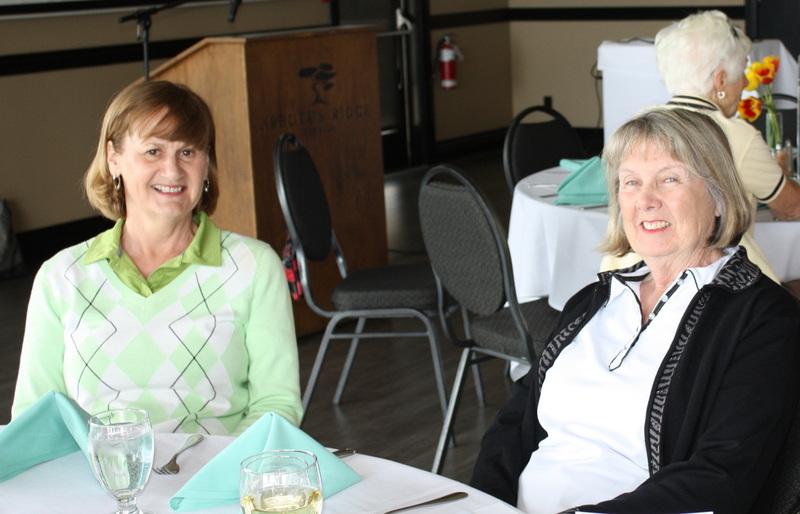 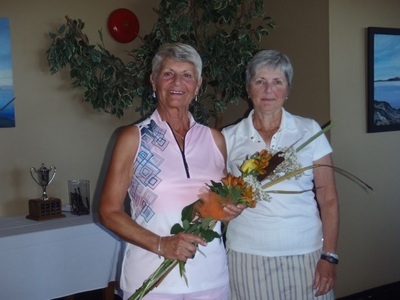 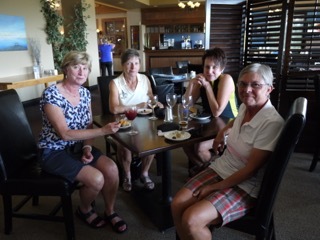 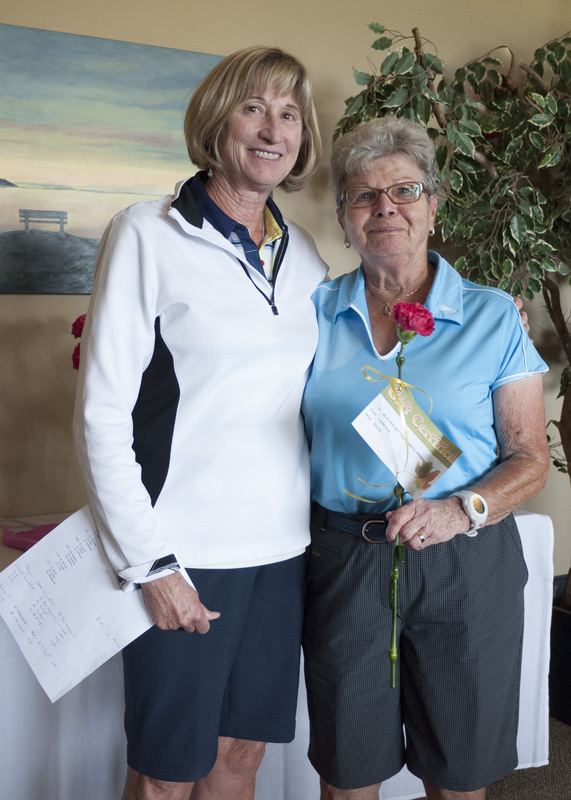 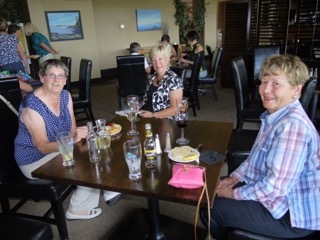 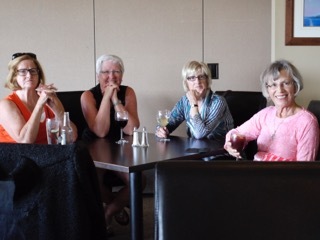 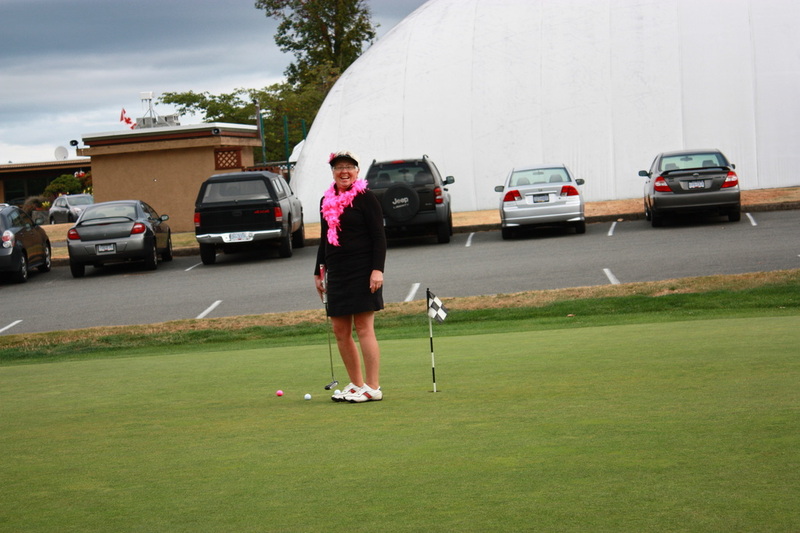 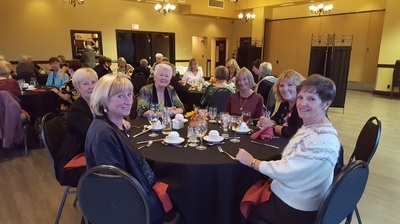 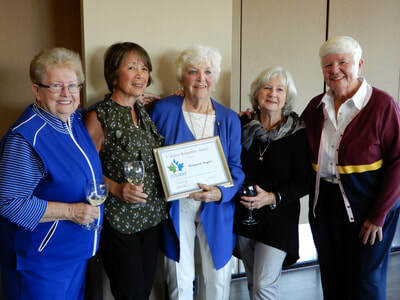 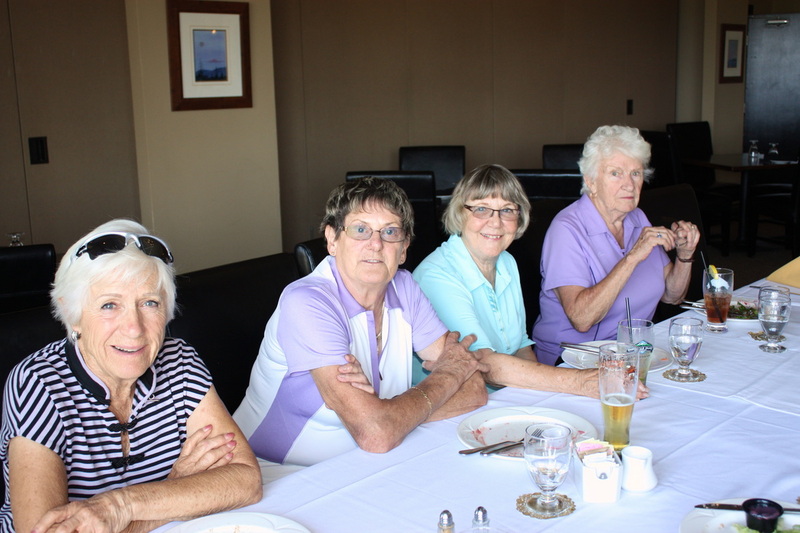 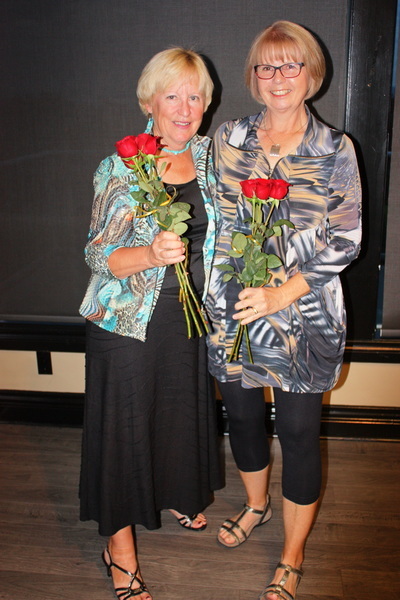 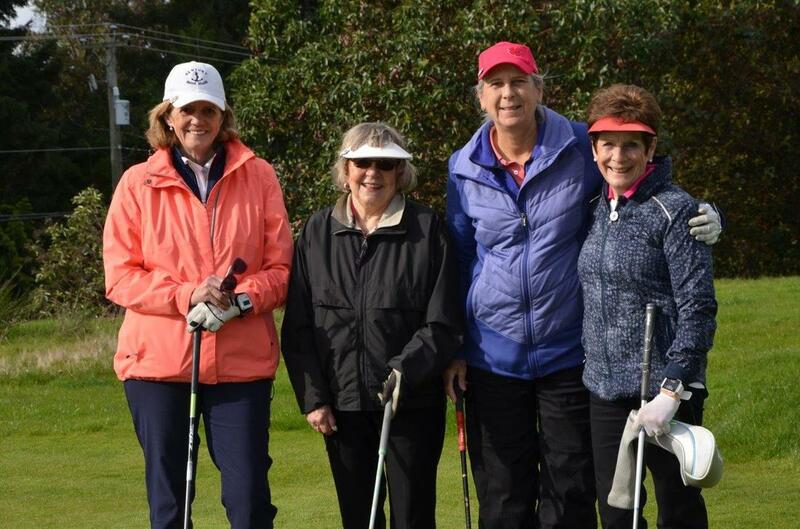 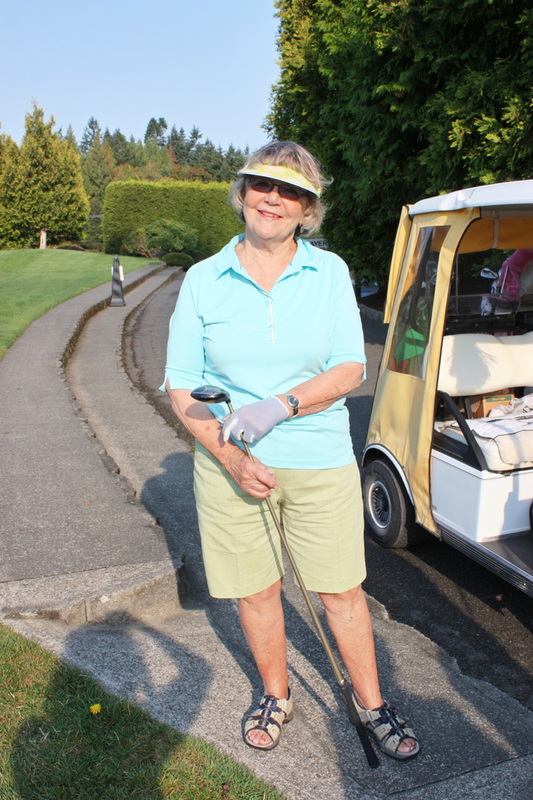 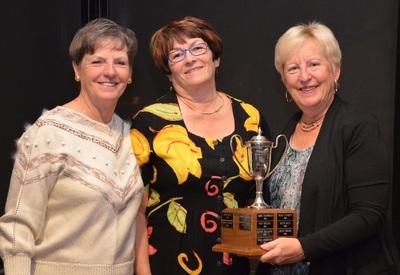 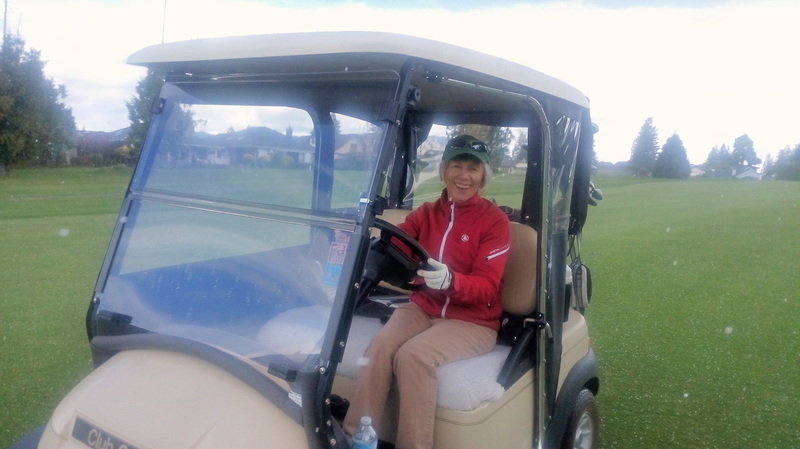 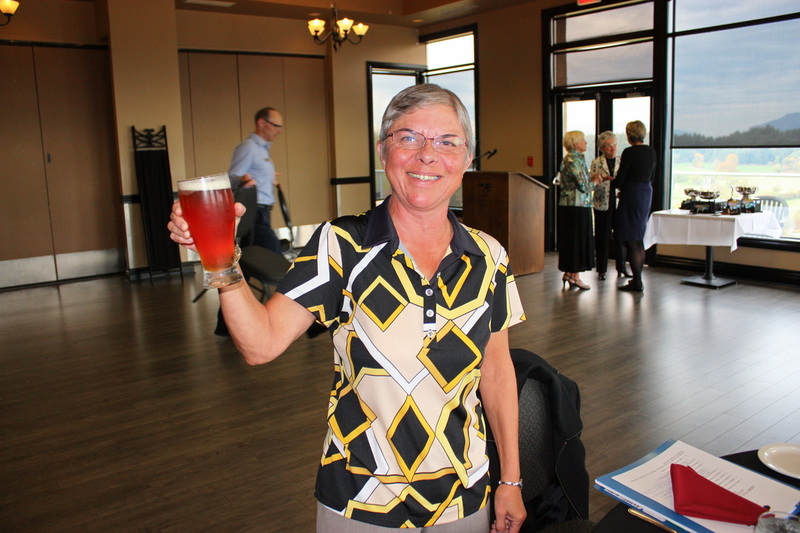 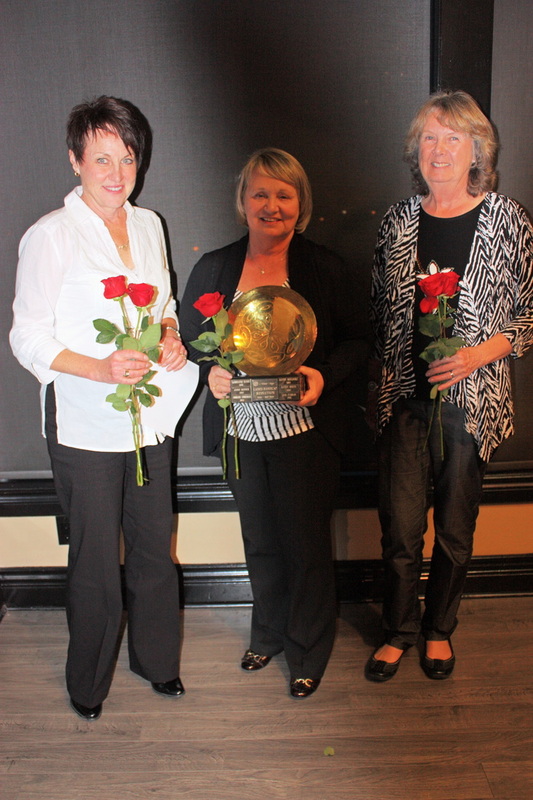 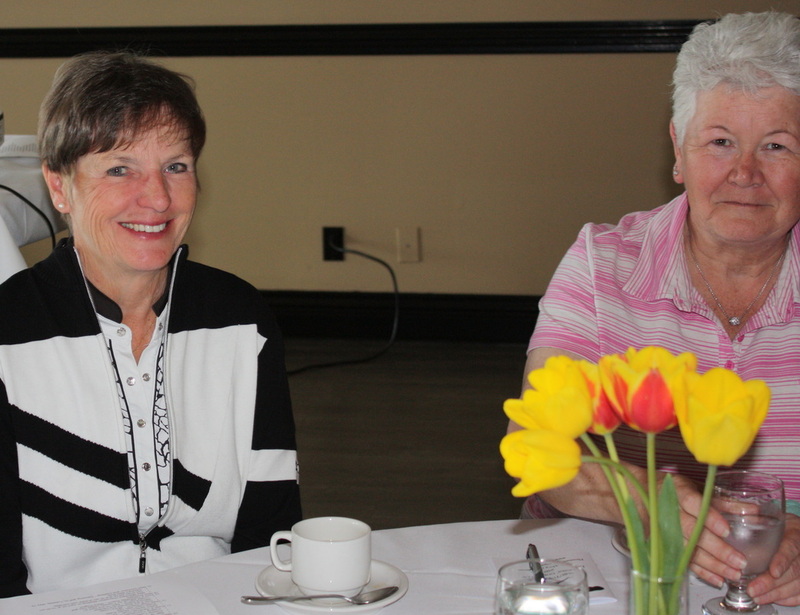 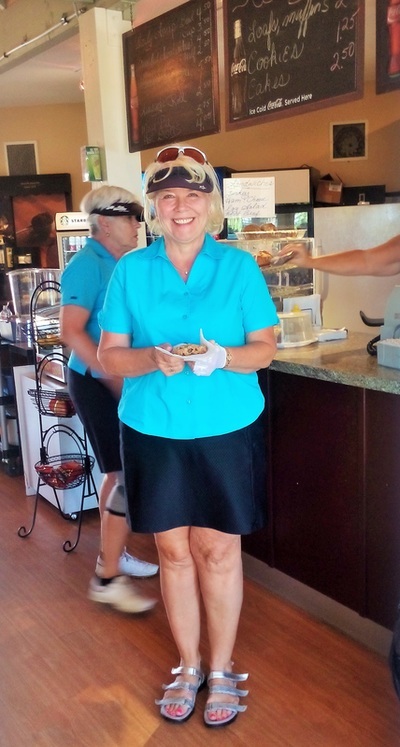 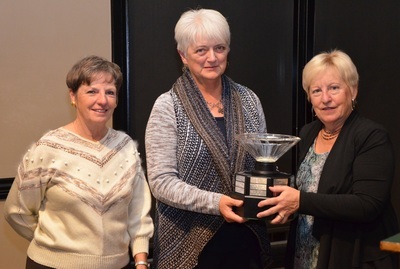 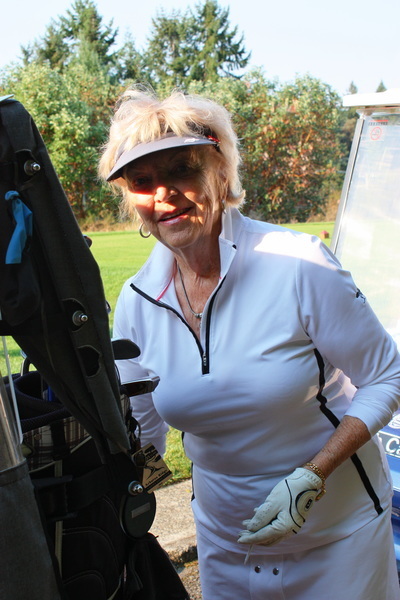 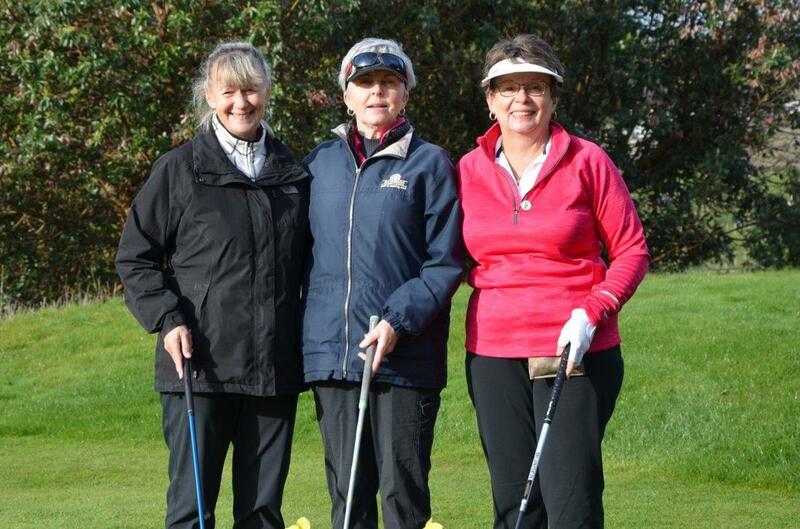 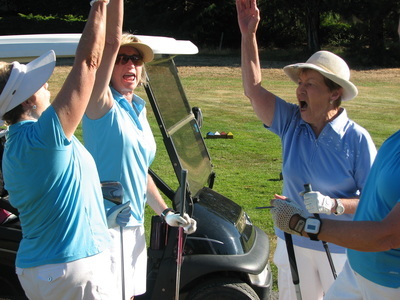 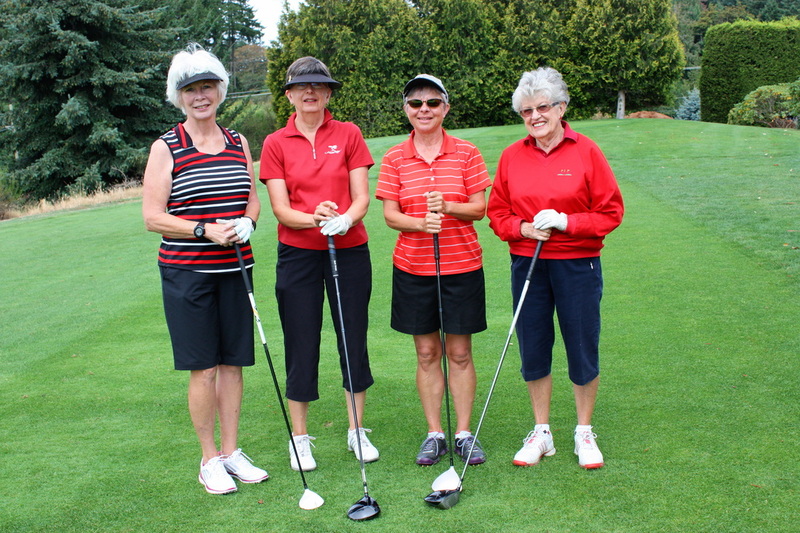 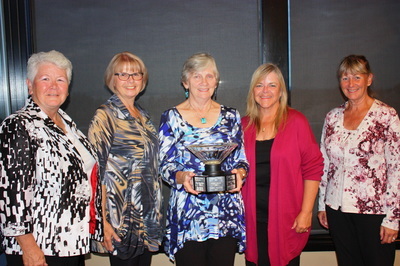 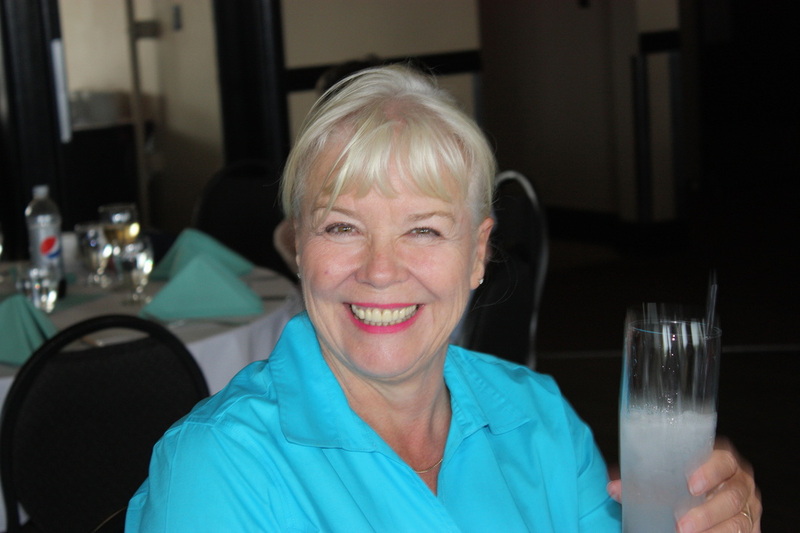 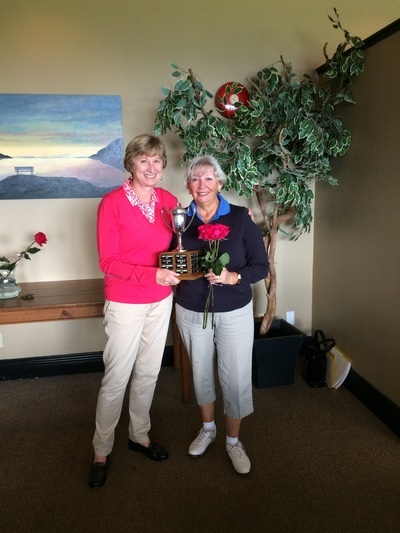 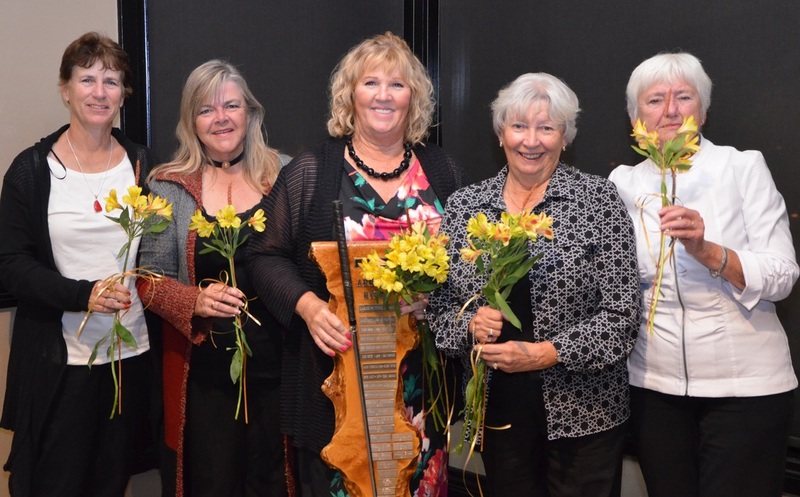 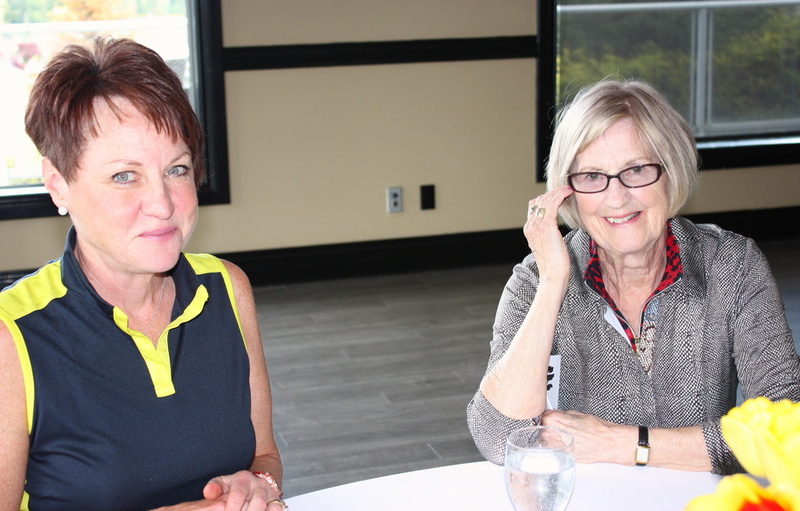 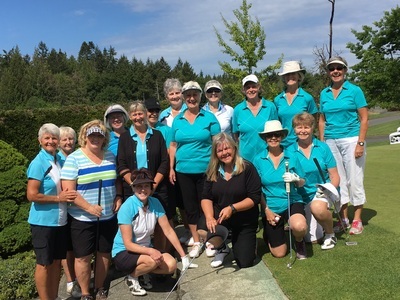 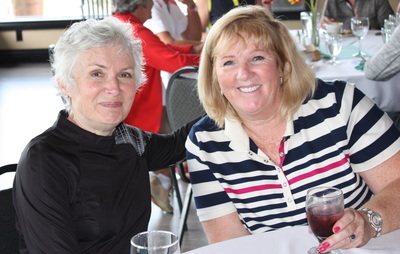 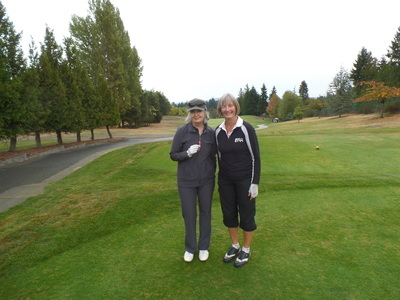 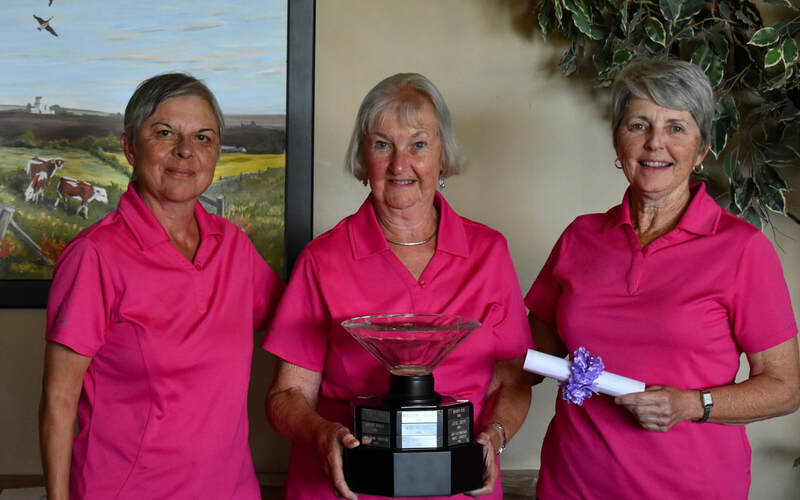 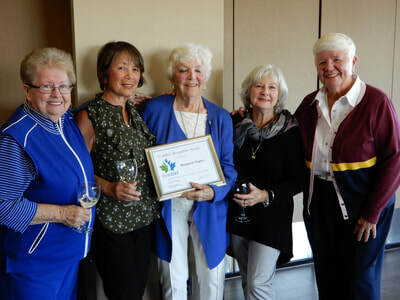 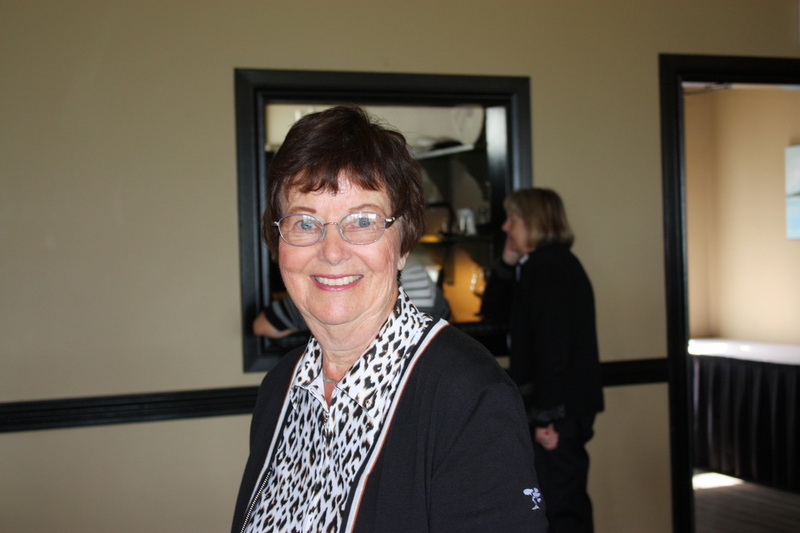 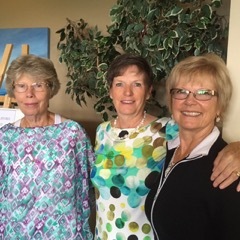 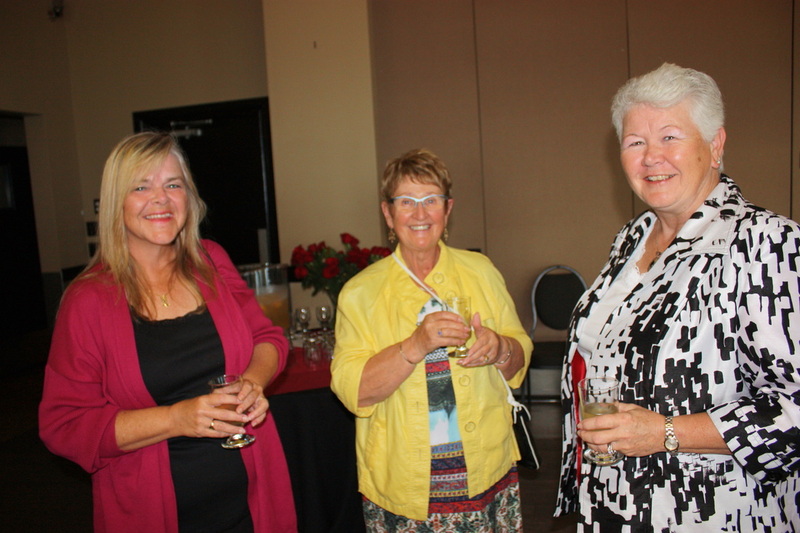 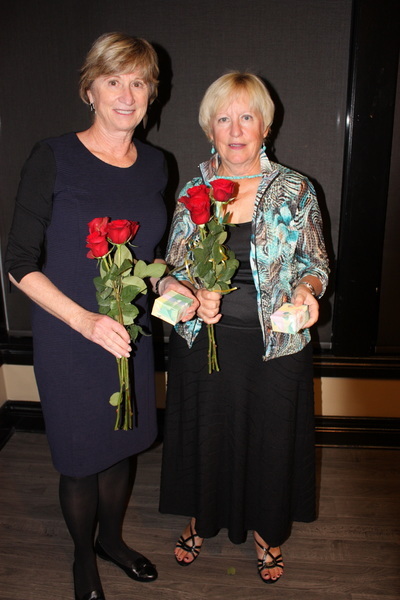 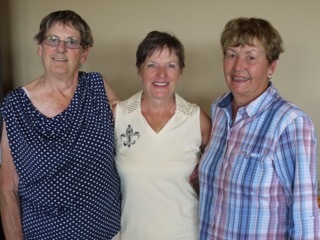 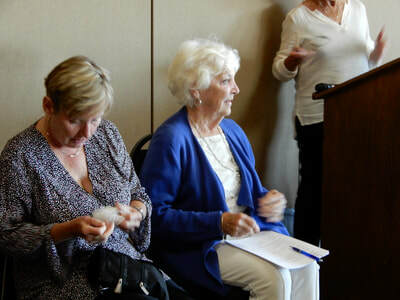 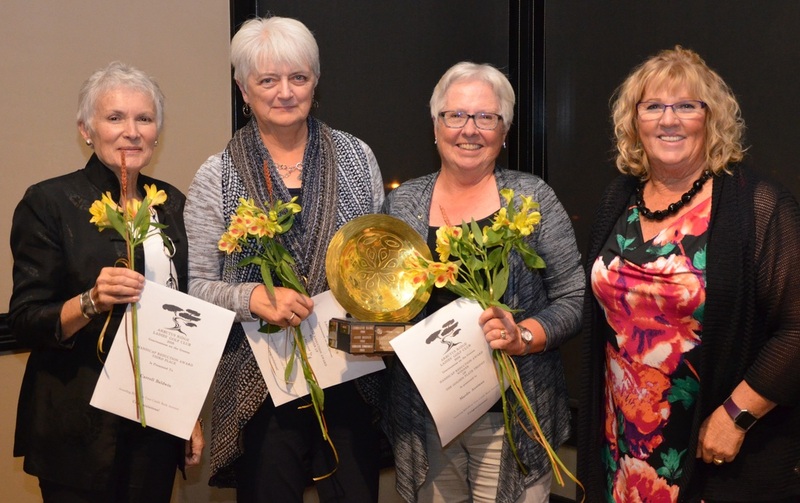 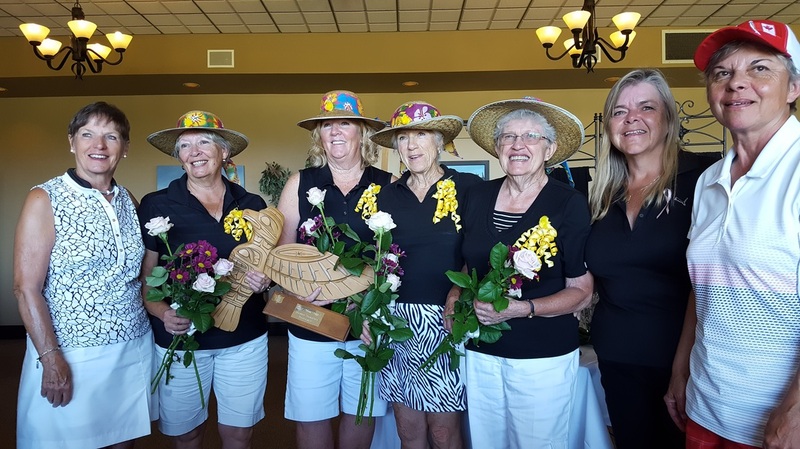 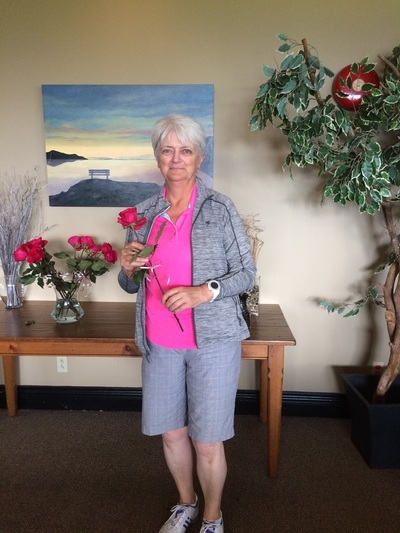 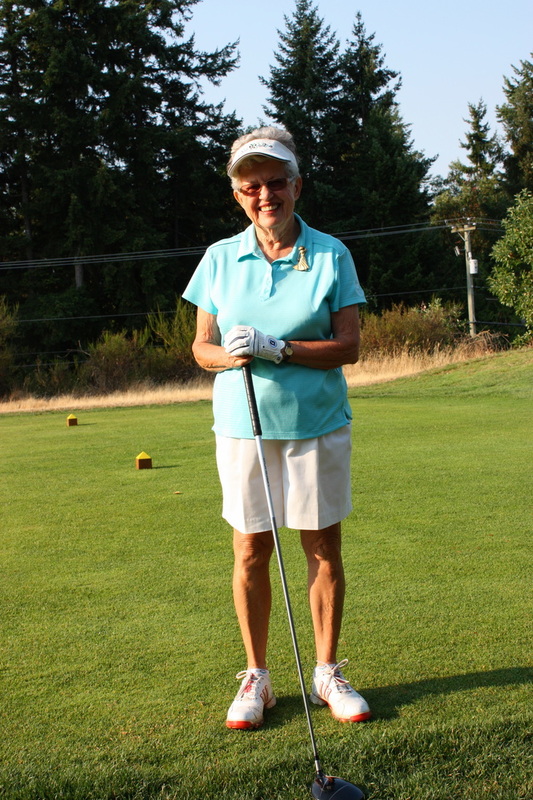 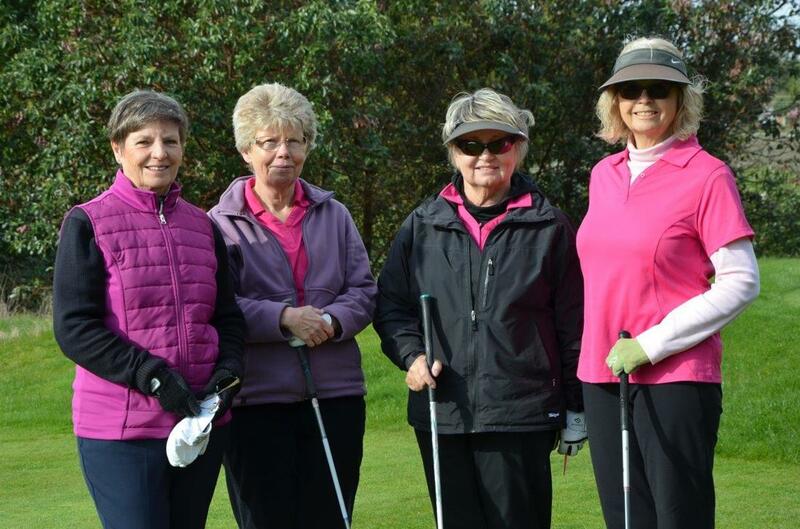 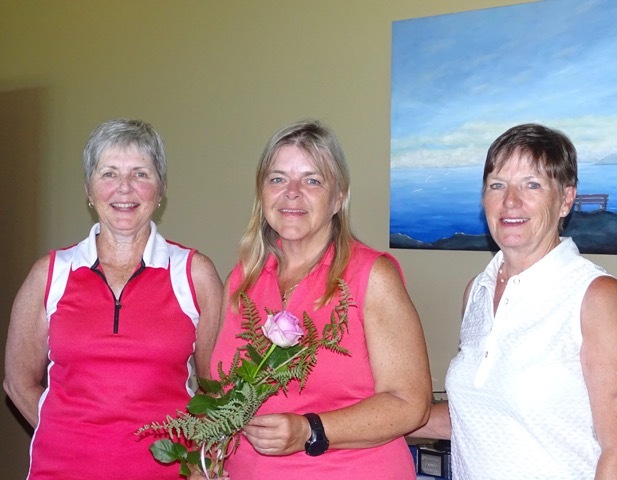 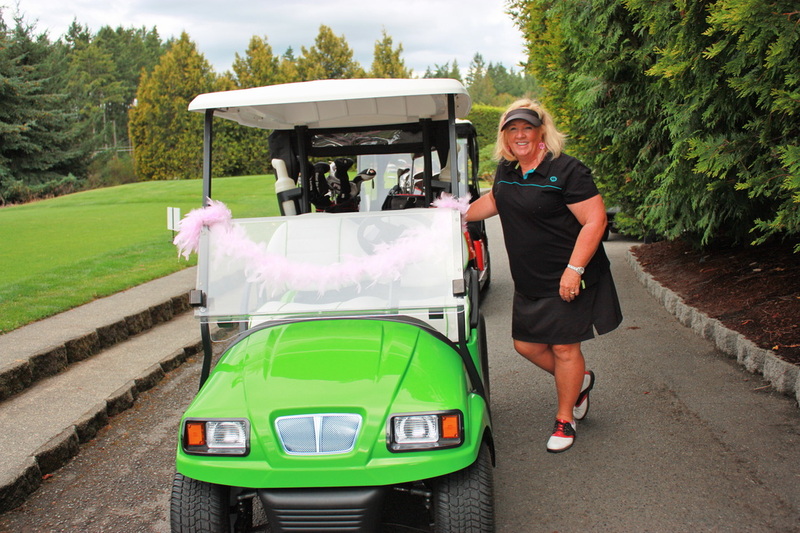 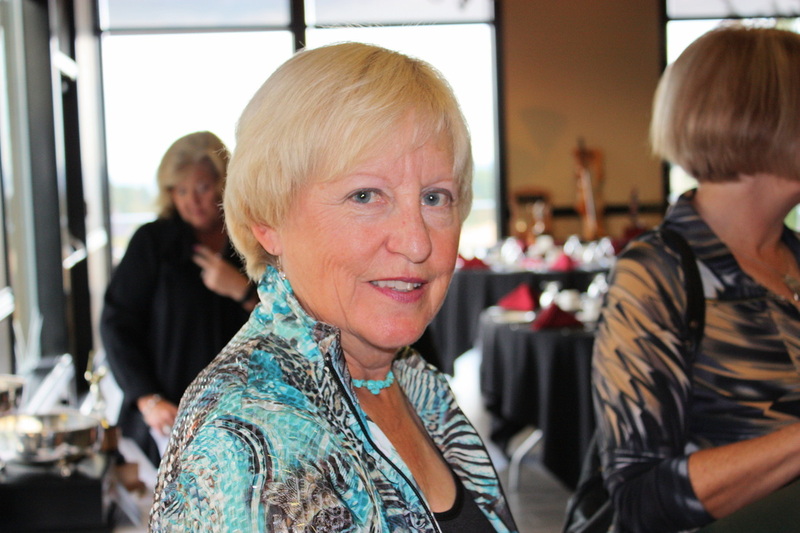 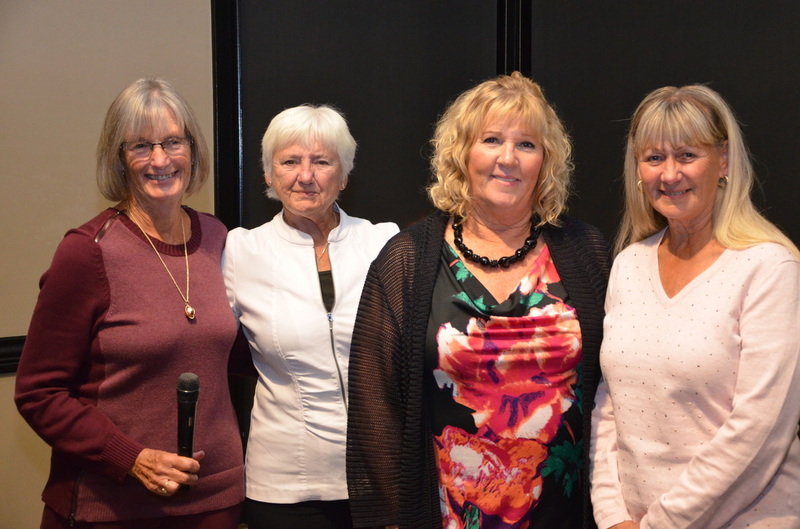 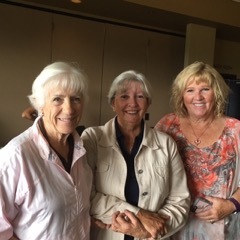 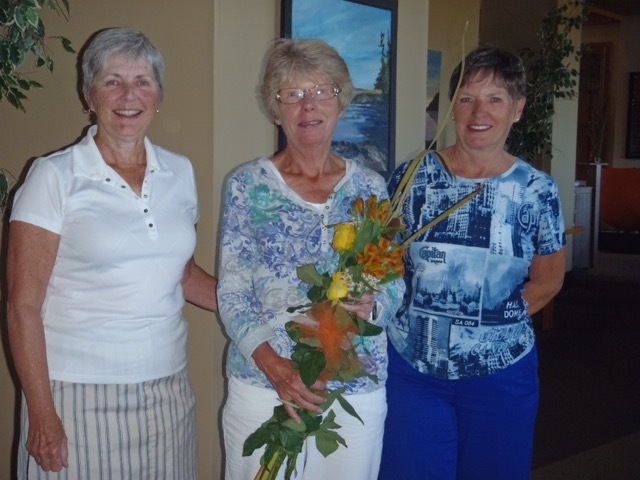 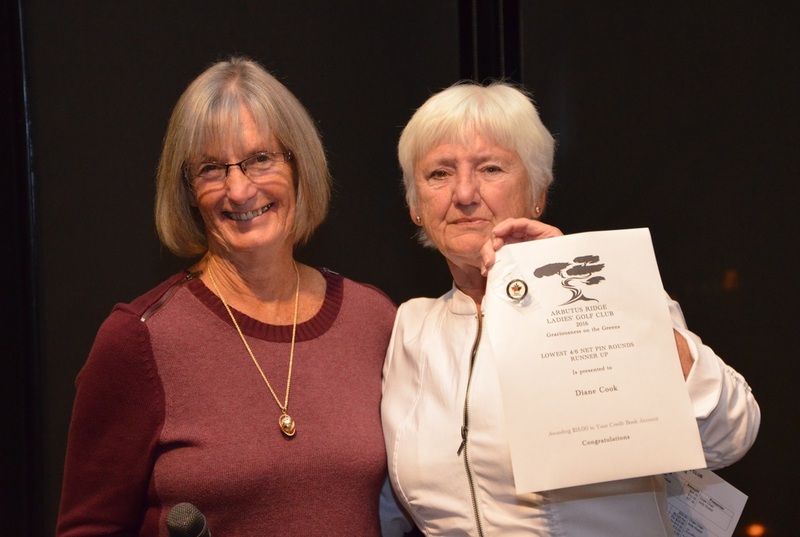 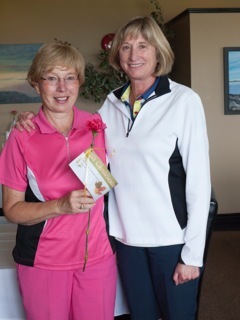 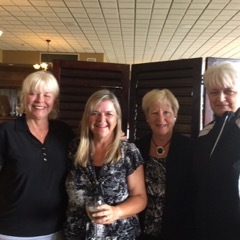 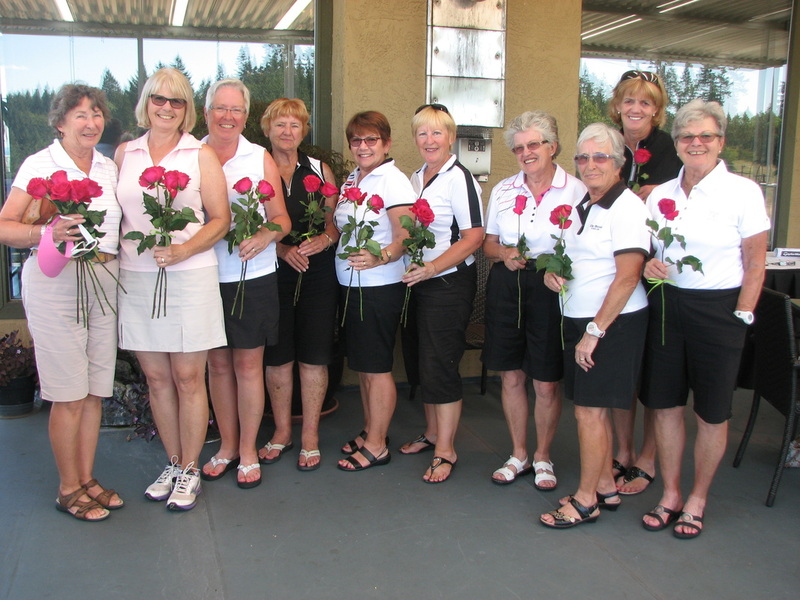 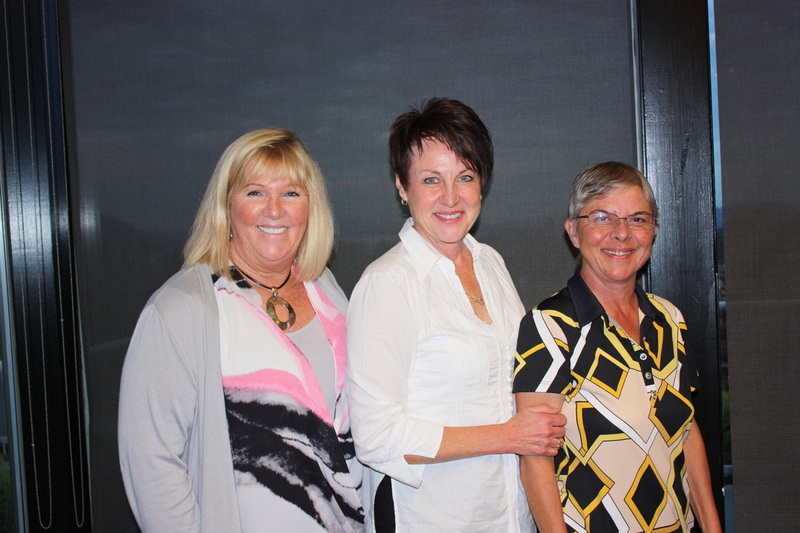 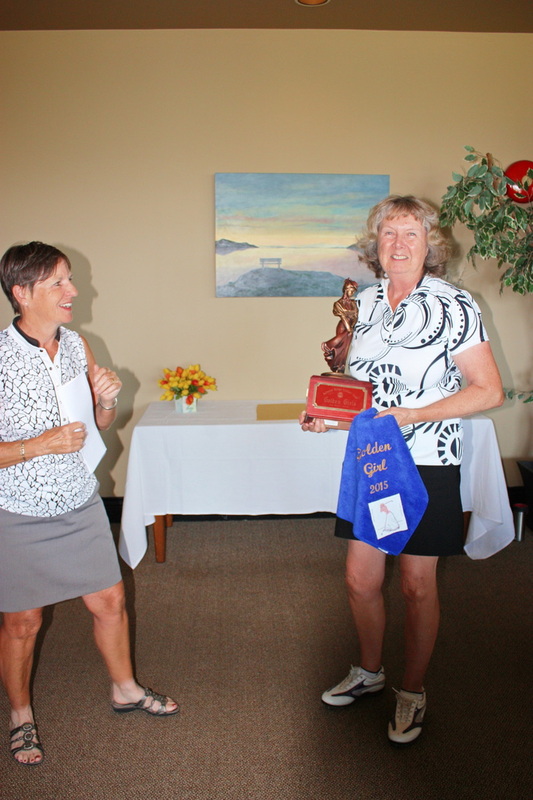 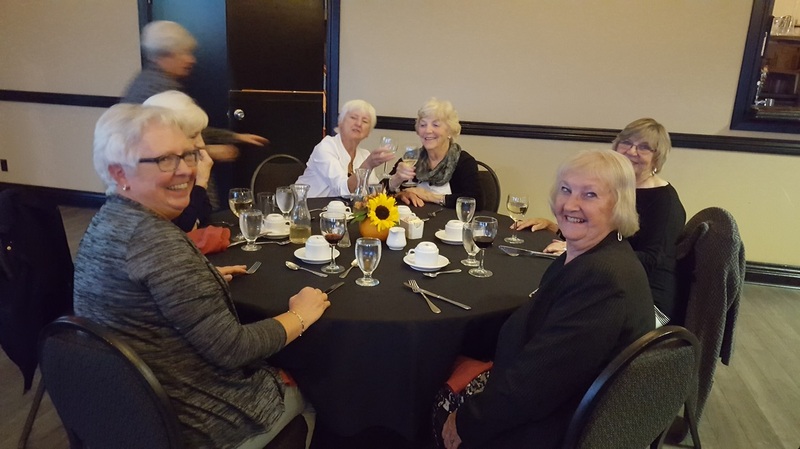 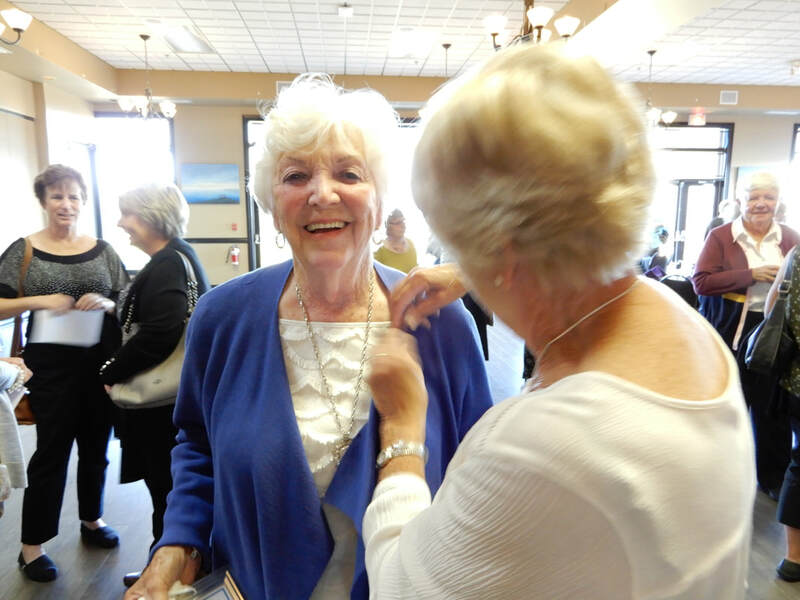 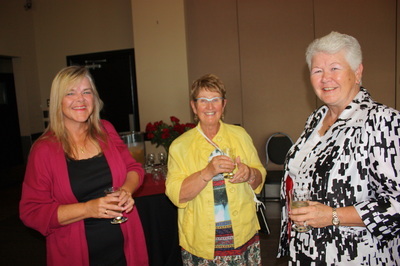 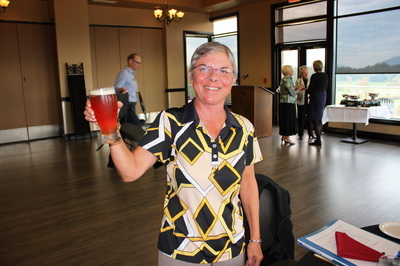 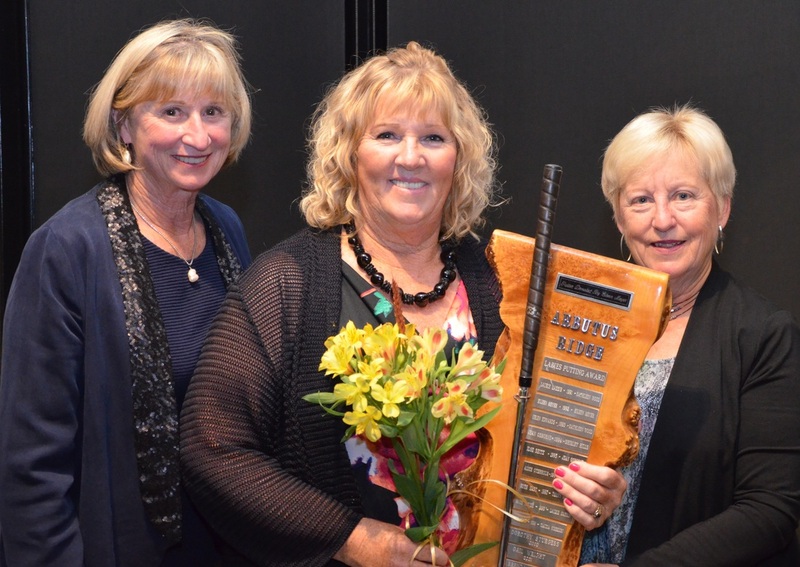 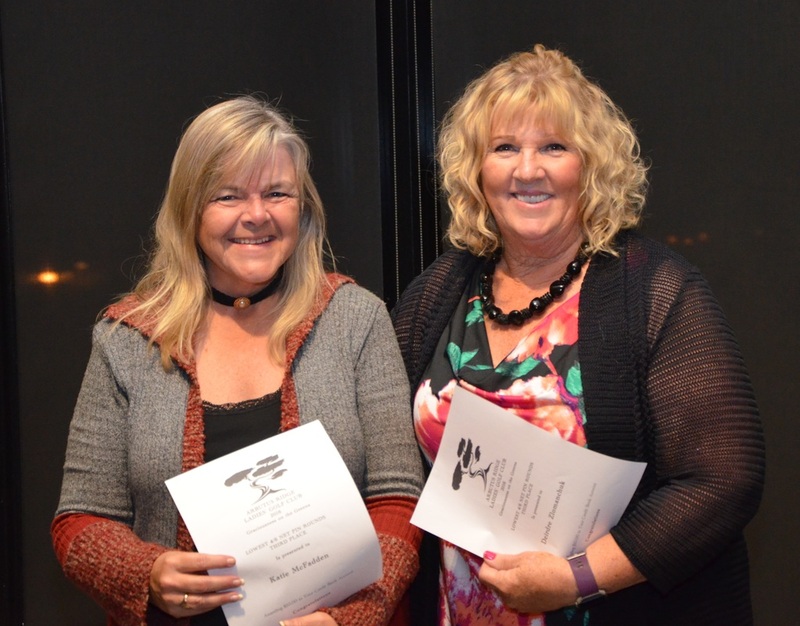 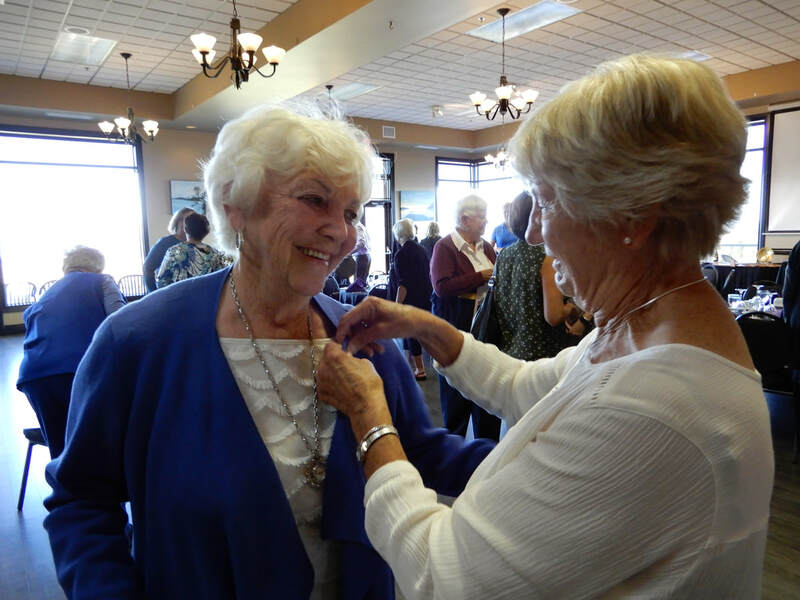 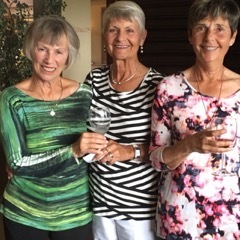 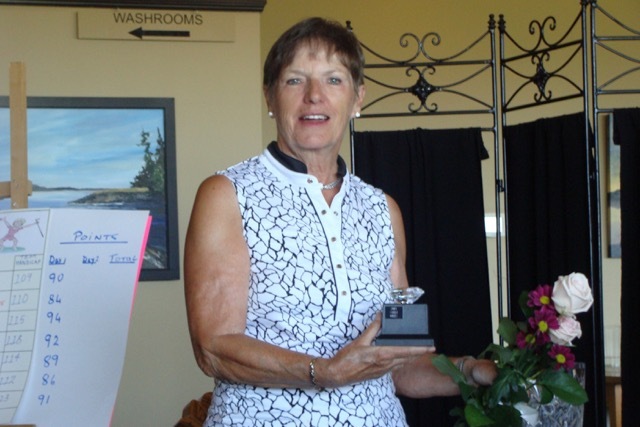 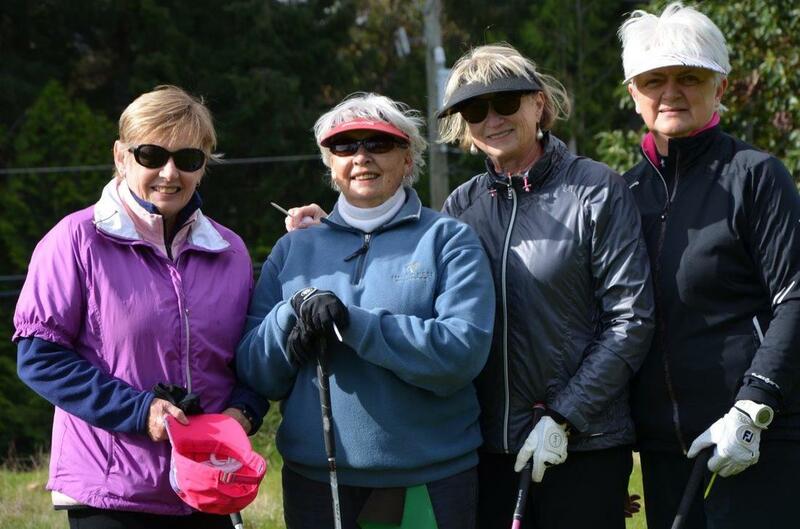 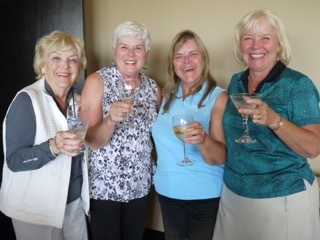 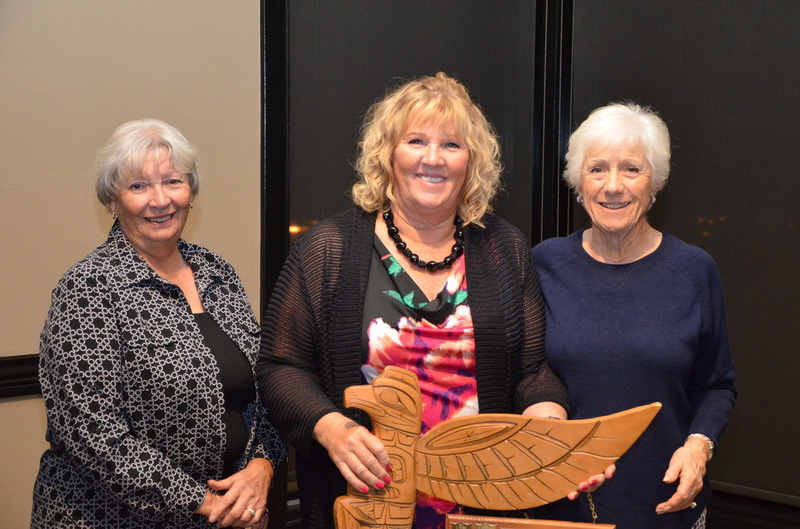 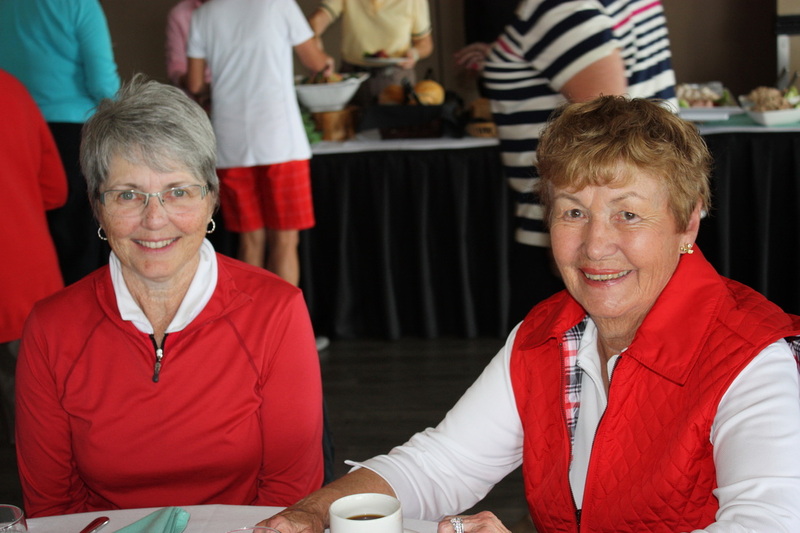 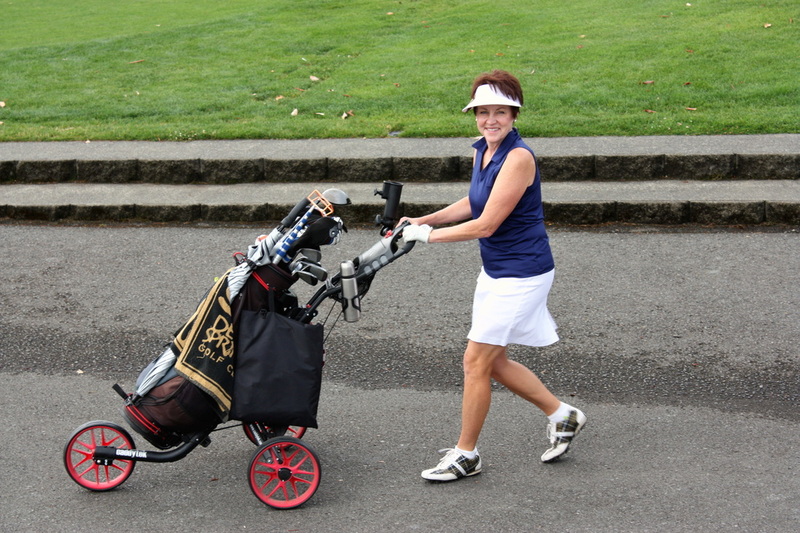 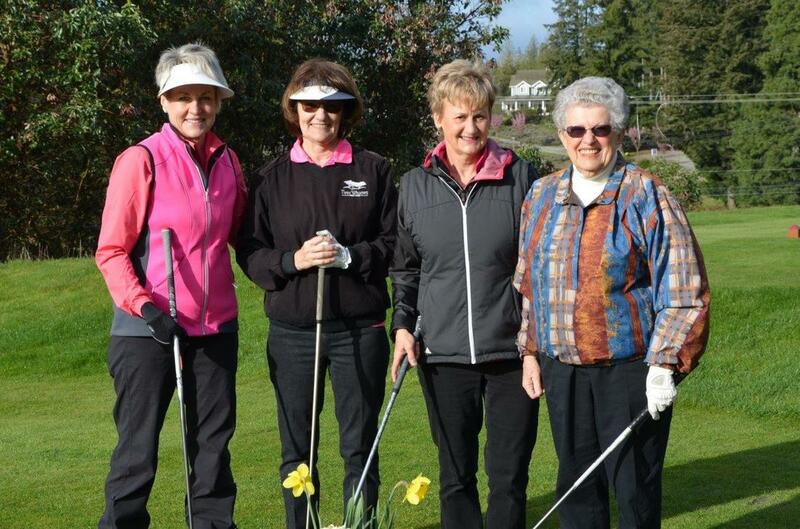 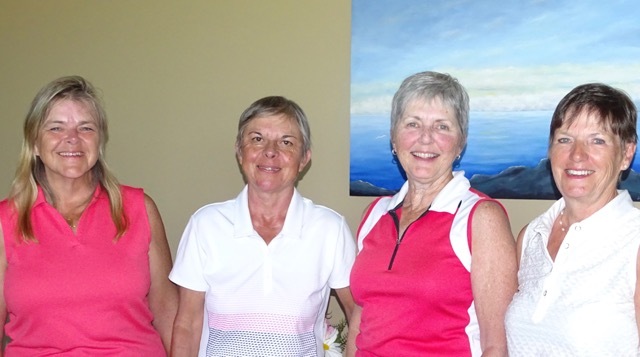 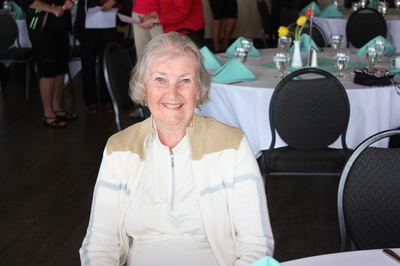 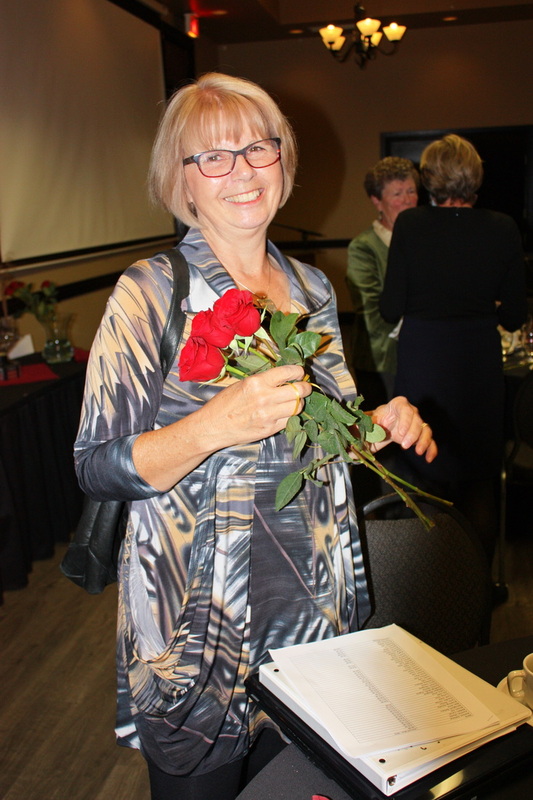 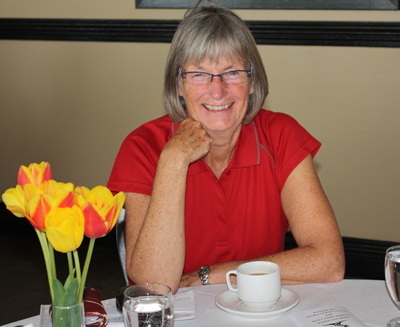 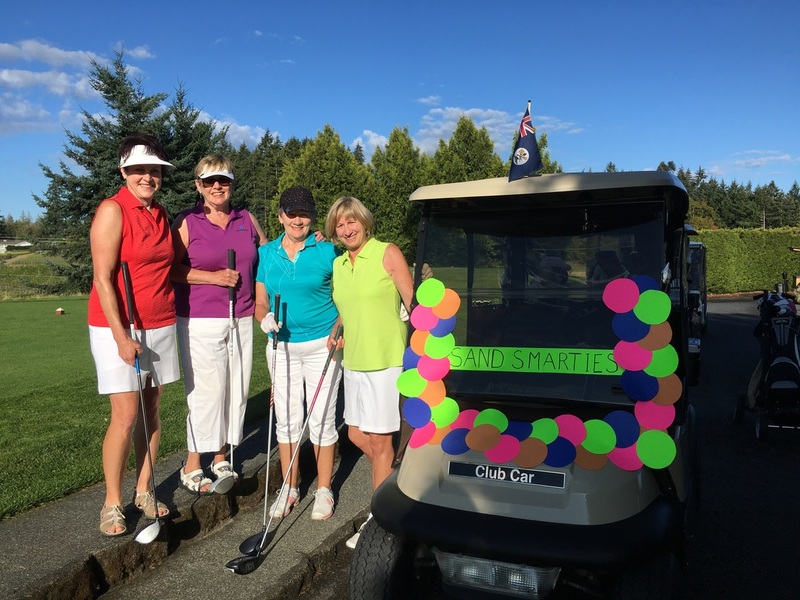 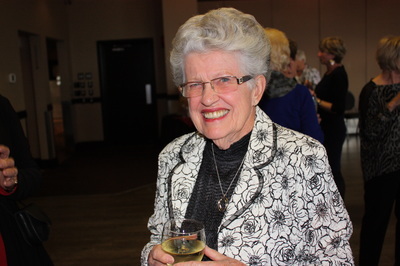 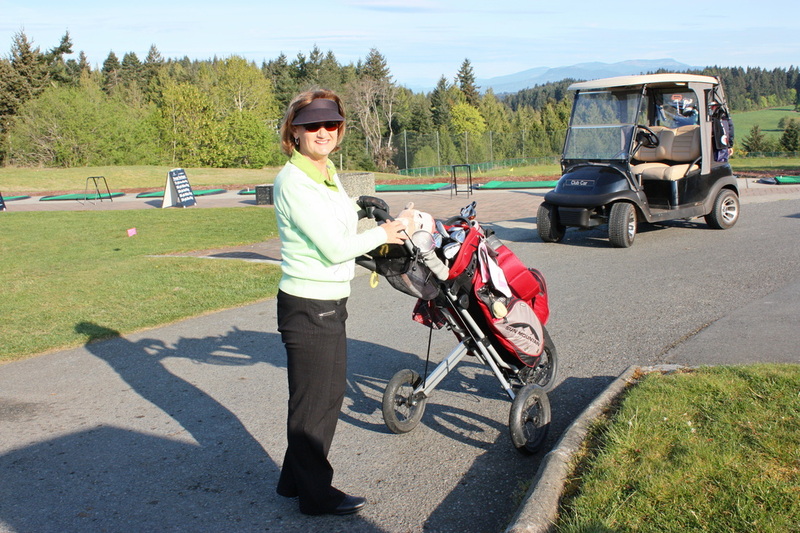 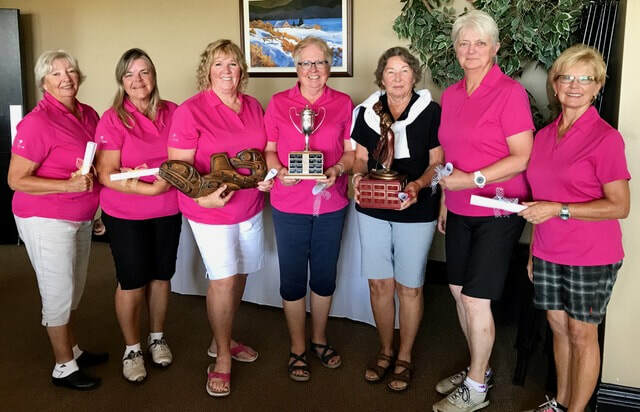 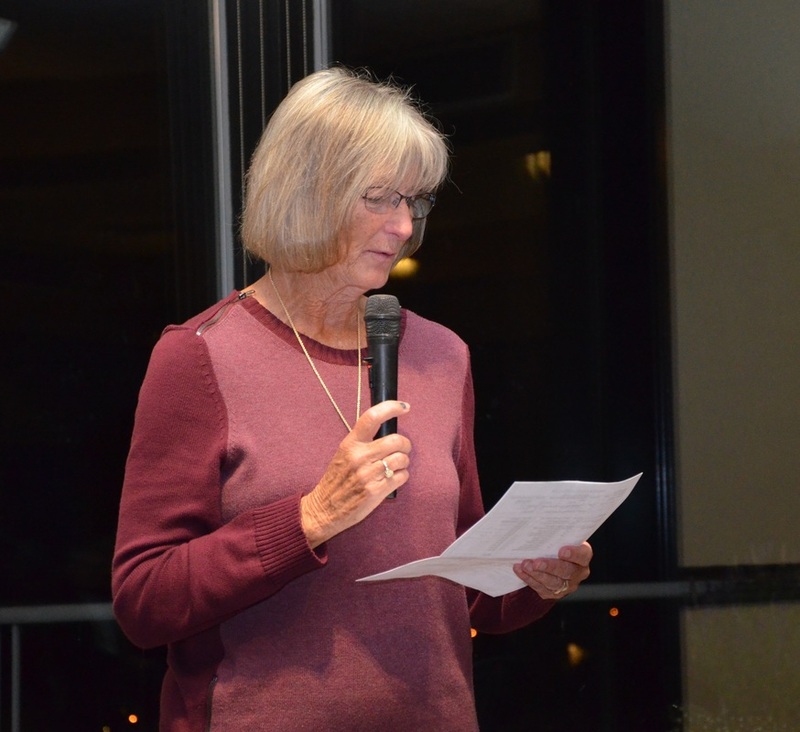 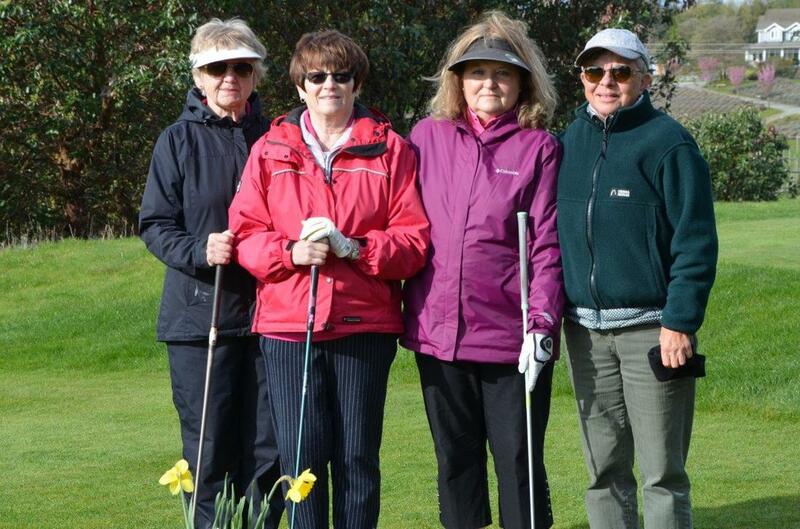 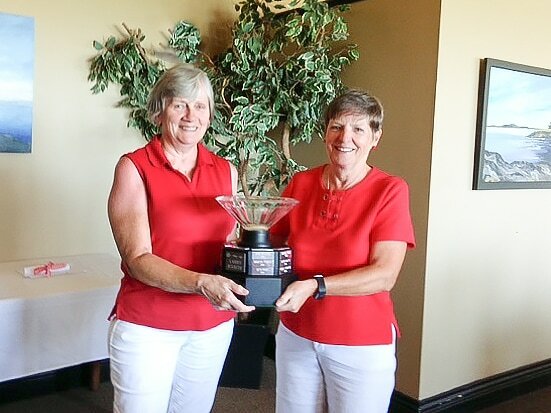 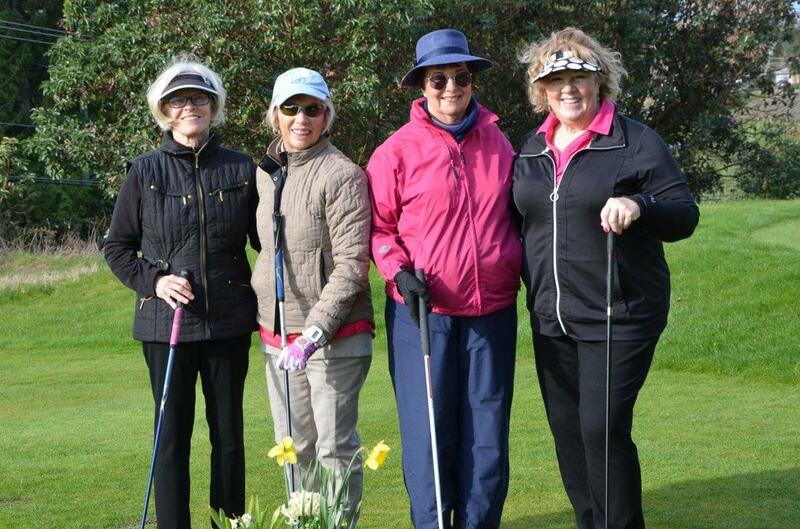 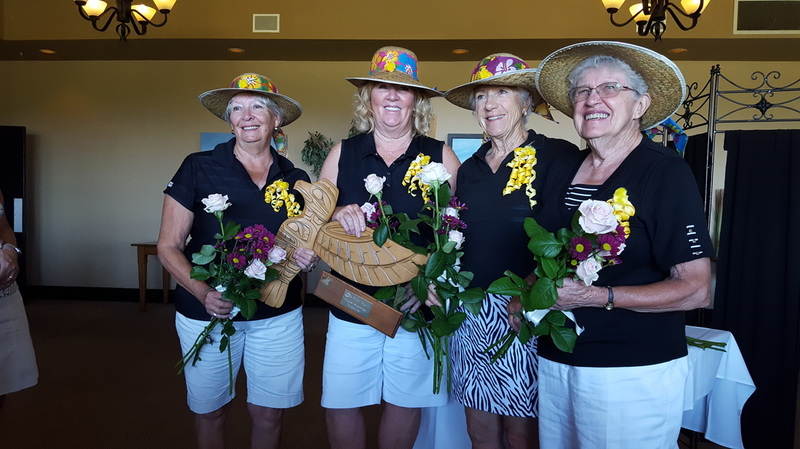 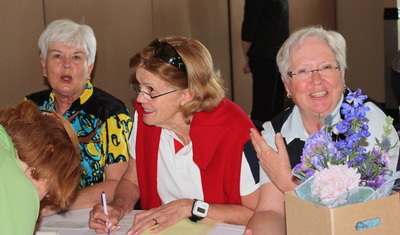 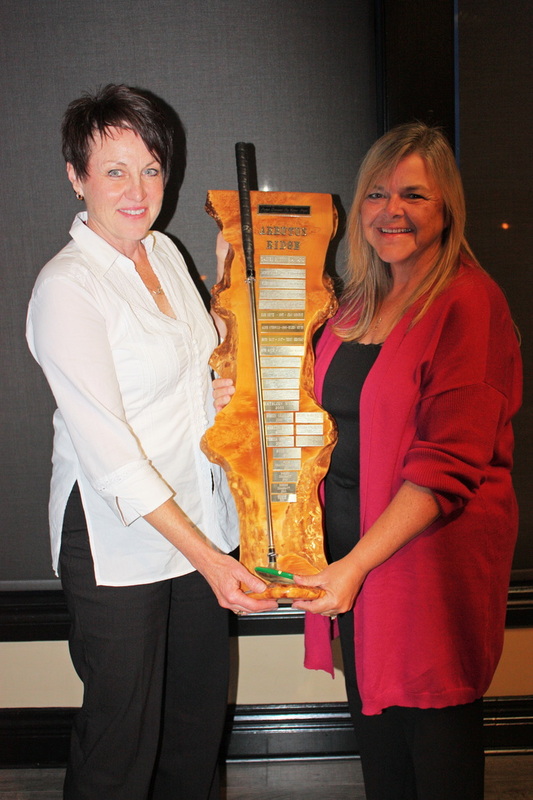 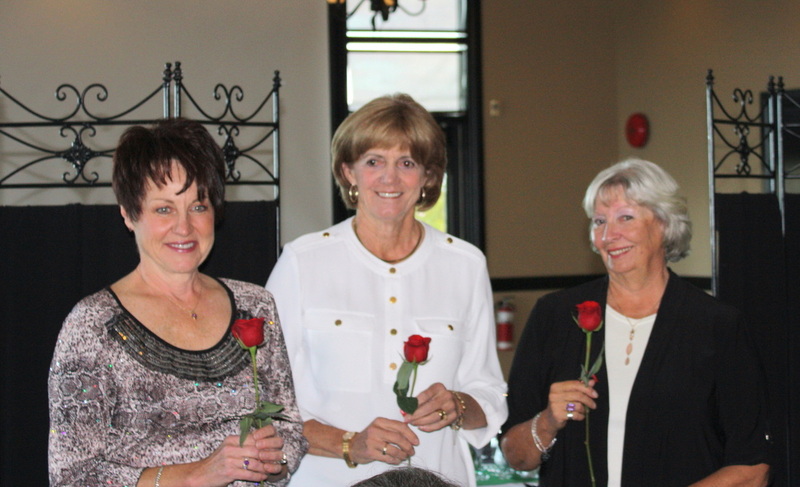 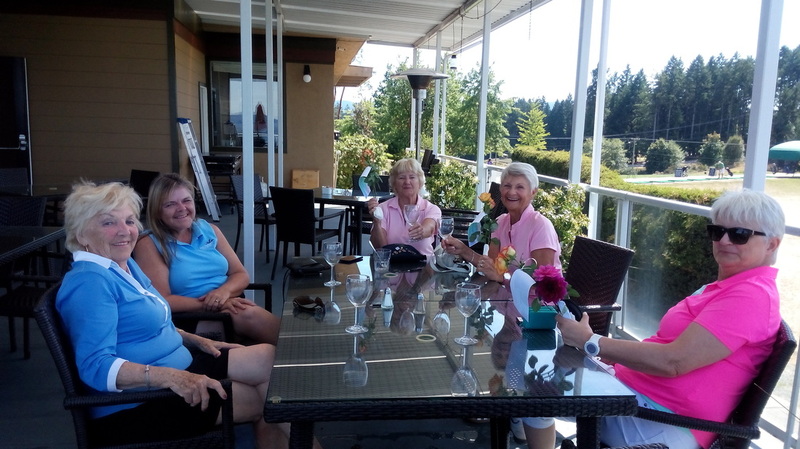 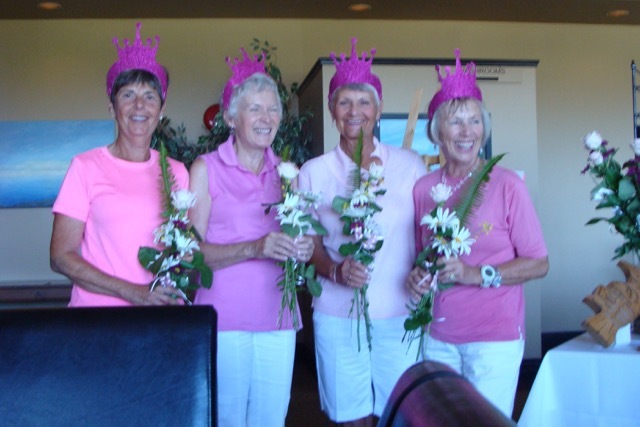 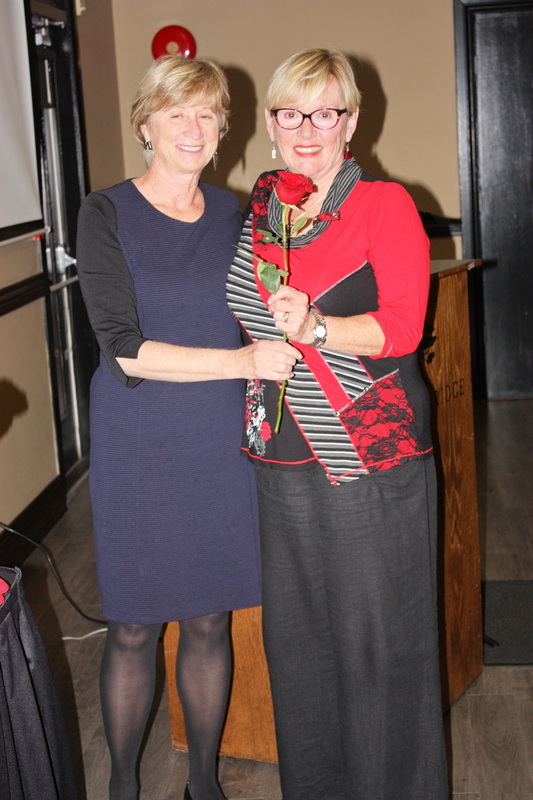 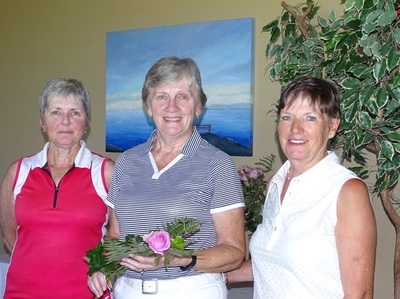 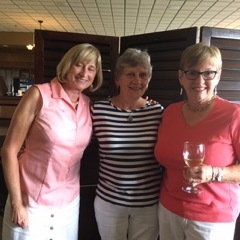 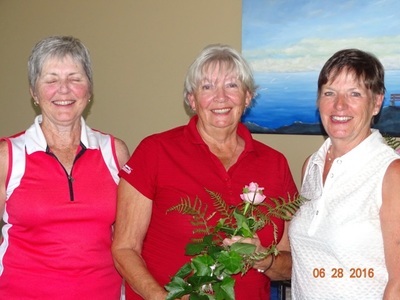 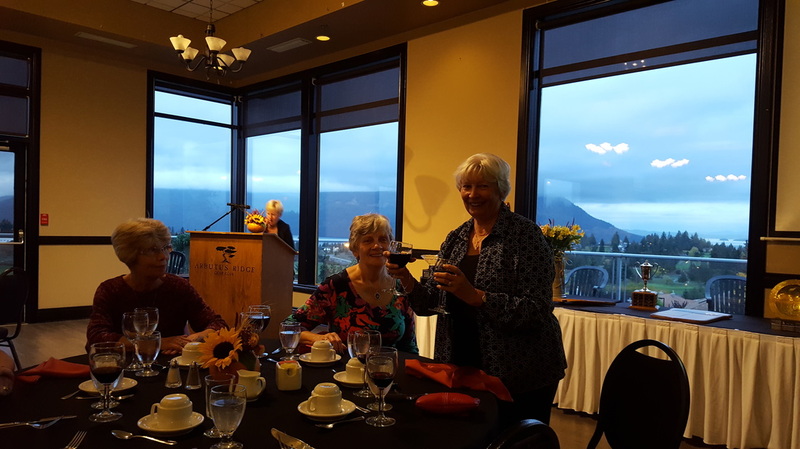 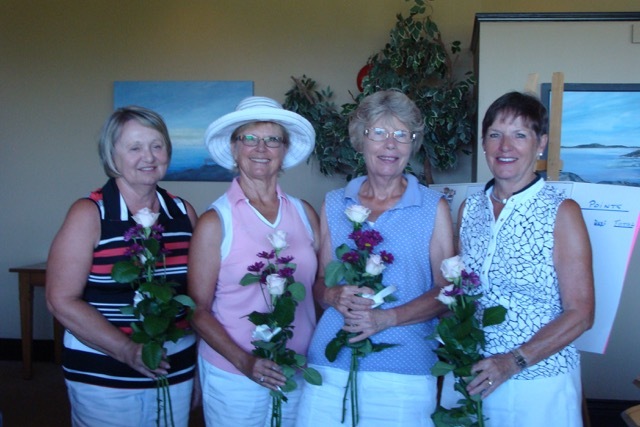 The first day winner, Sally Giles, was determined by a count back as both she and Barb Bertagnolli scored a Net 71. 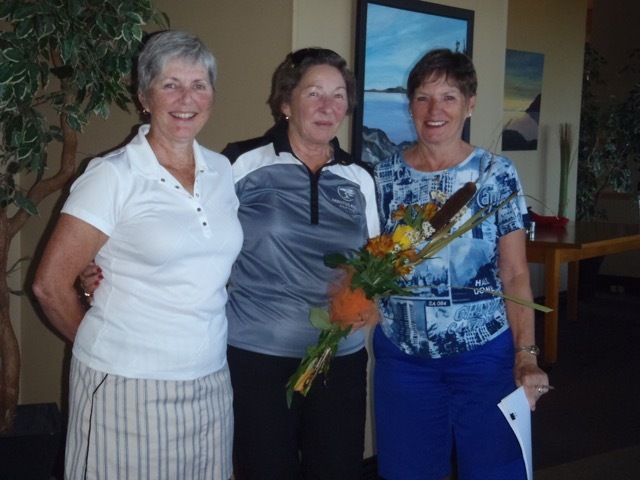 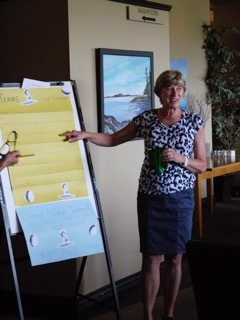 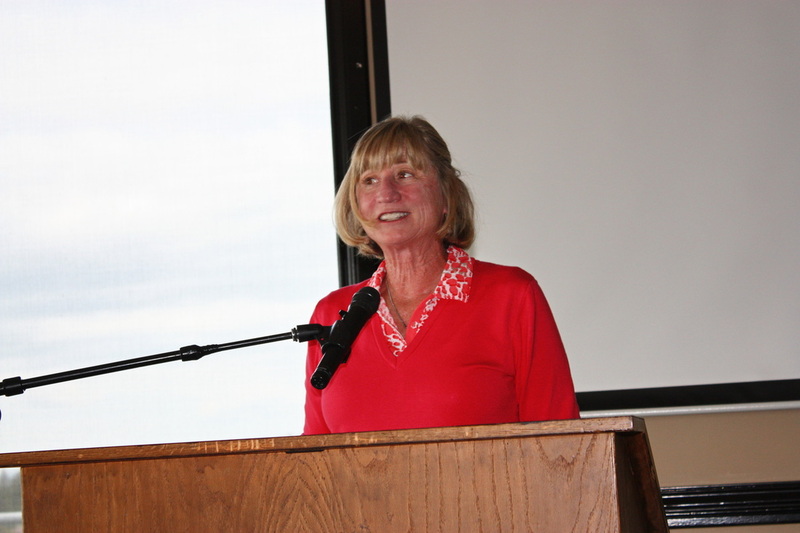 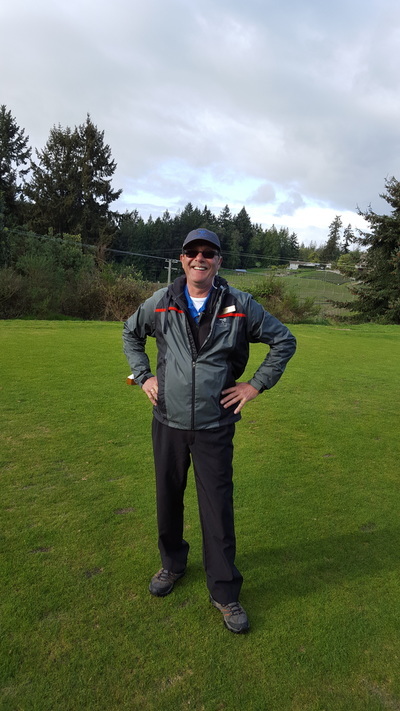 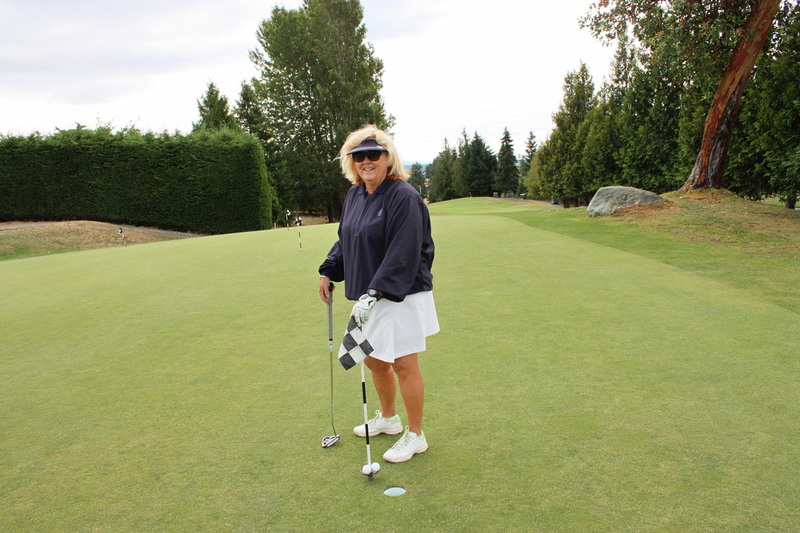 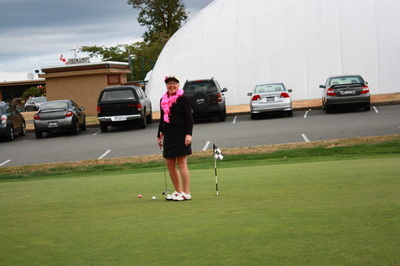 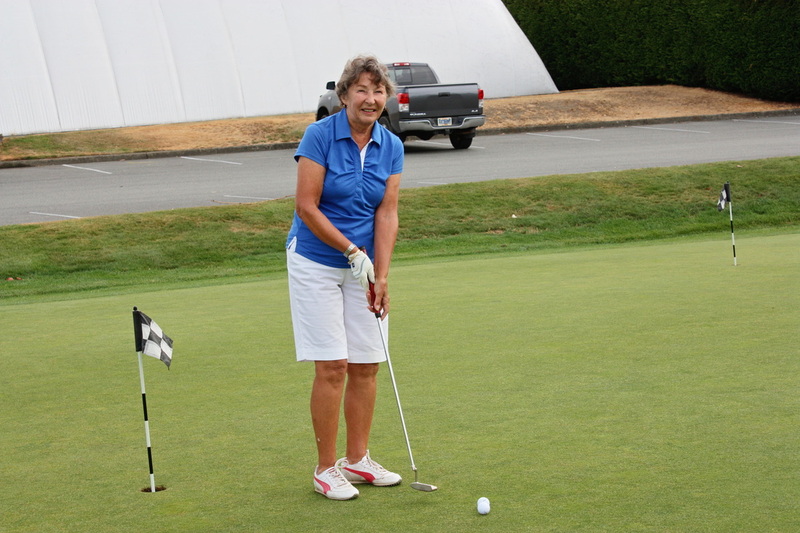 The Winner of the 2-day tournament was Barb Bertagnolli and there was a 3-way tie for second place. 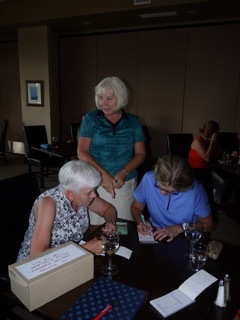 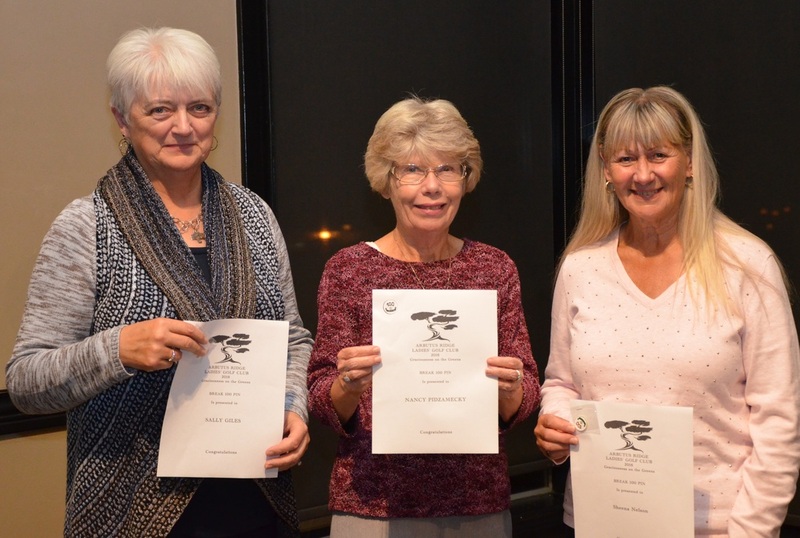 So, by count back, the Runner Up was Katie McFadden, 3rd place Verena Westbrook, and 4th place Sally Giles. Well done! 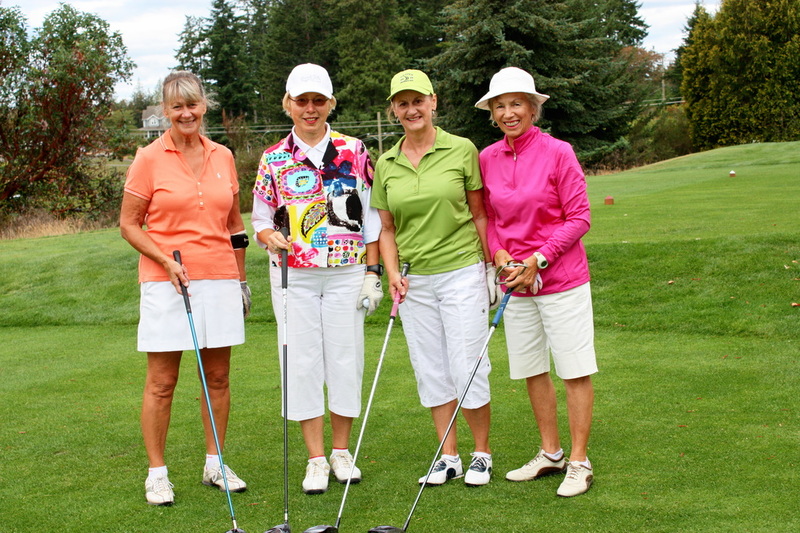 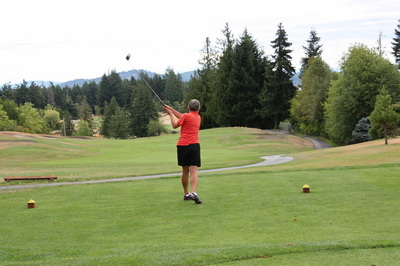 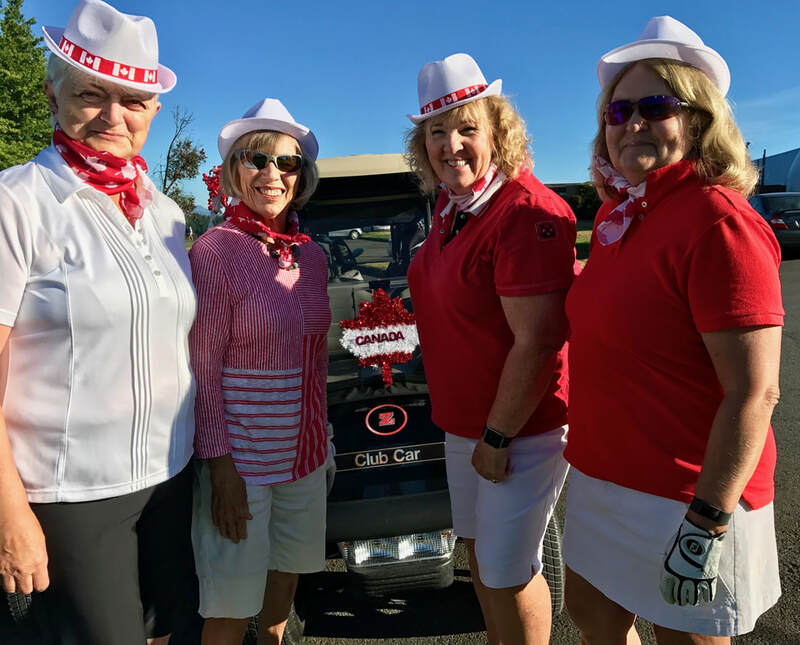 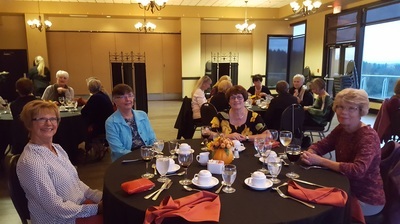 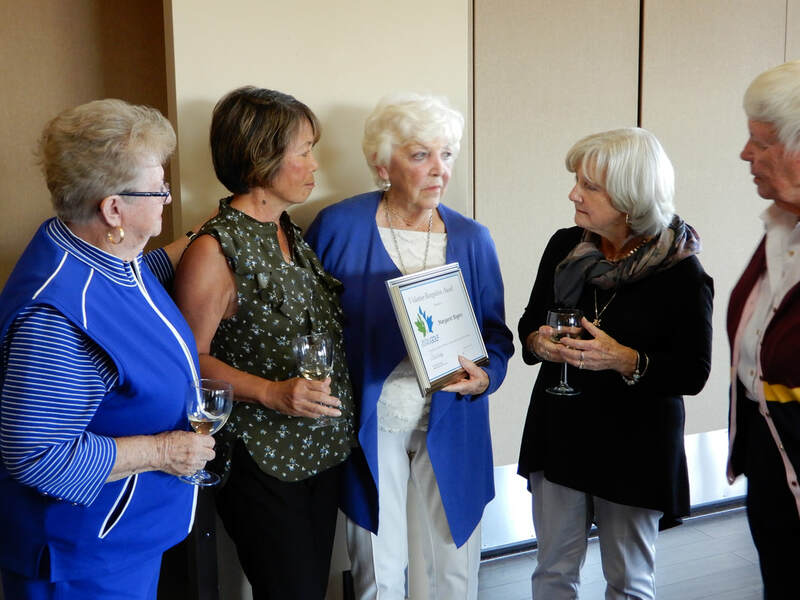 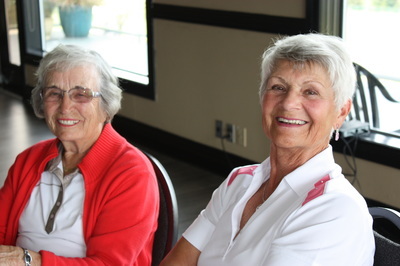 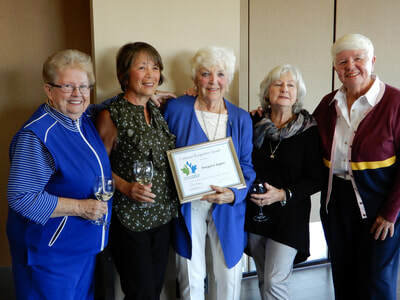 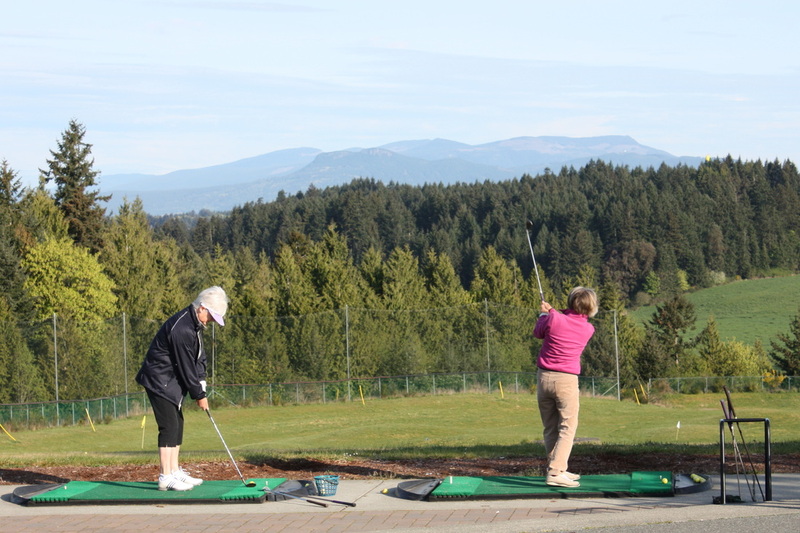 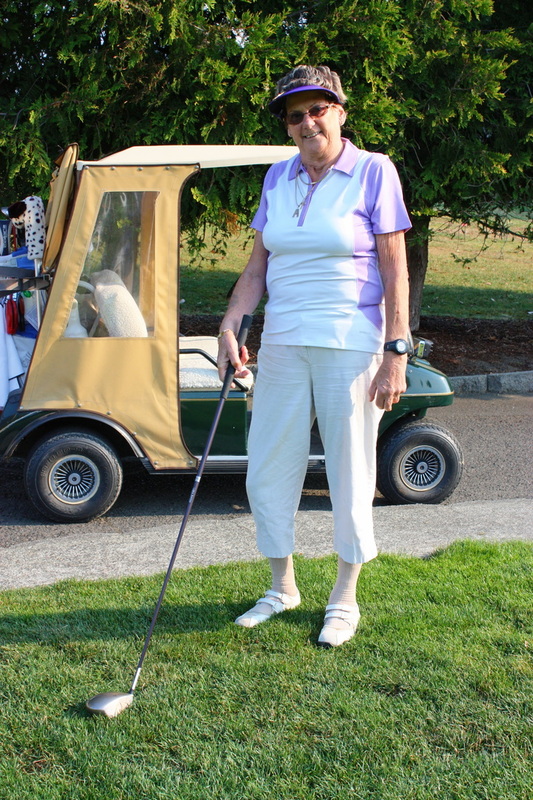 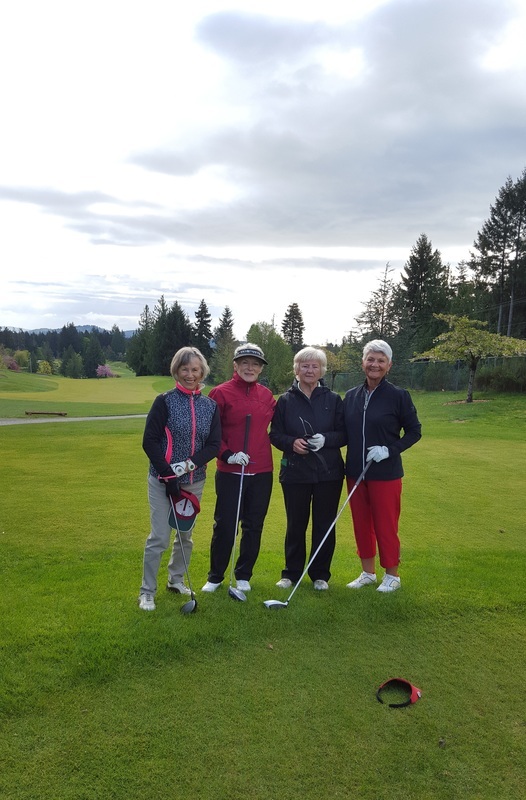 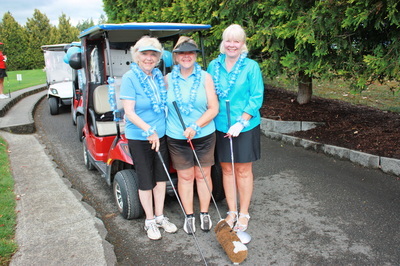 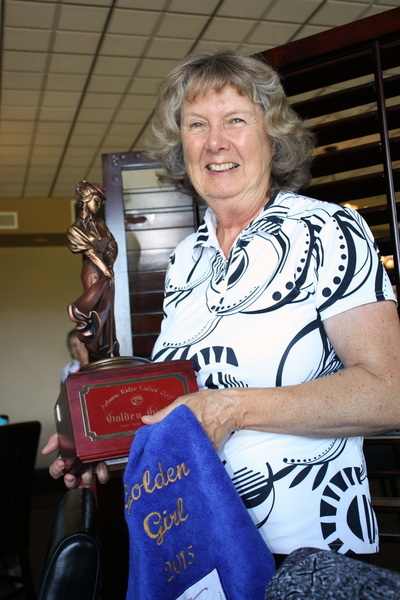 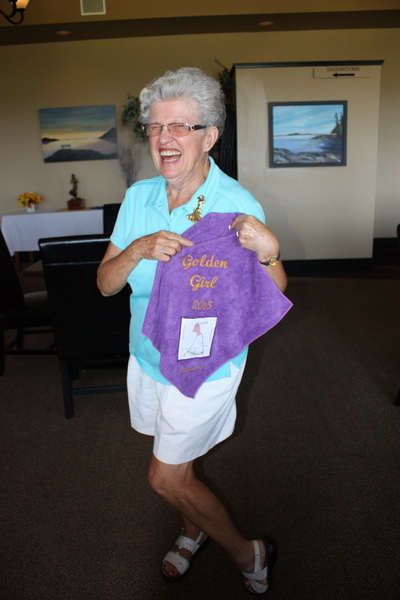 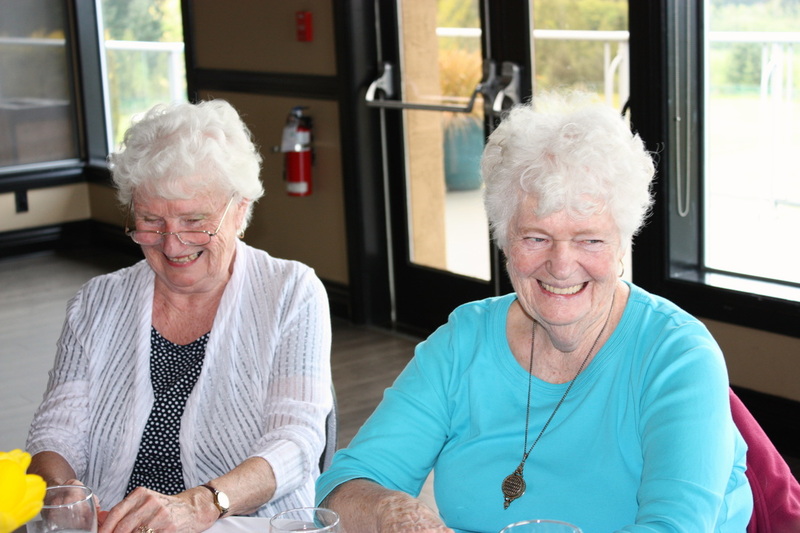 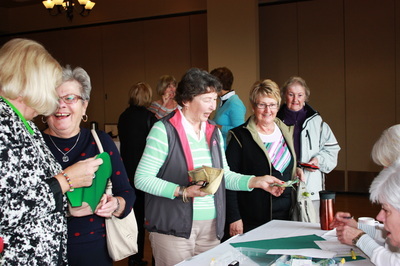 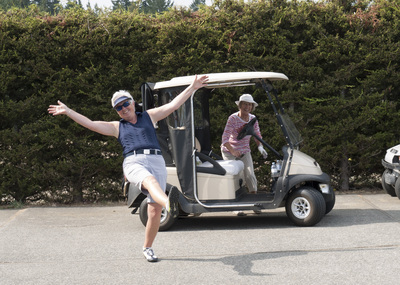 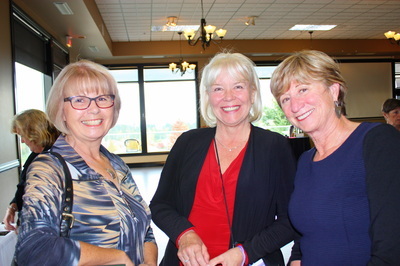 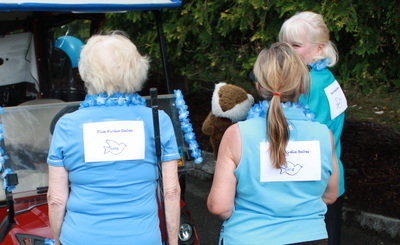 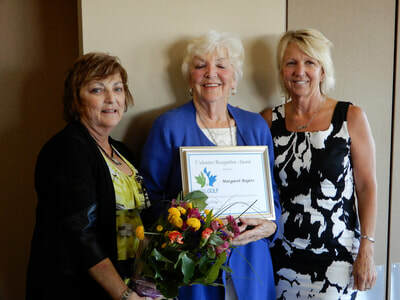 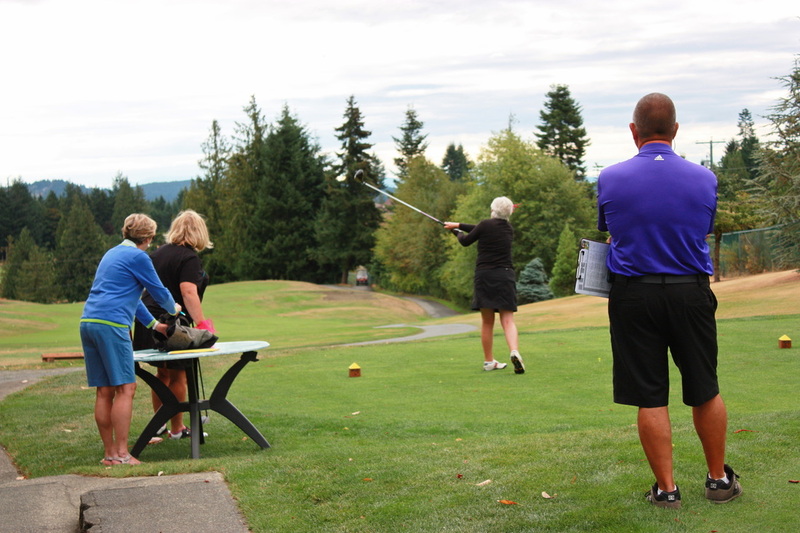 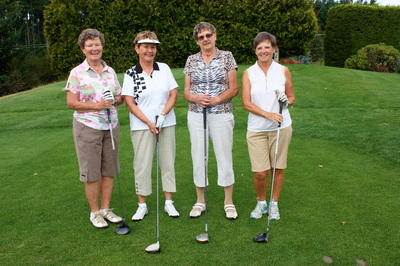 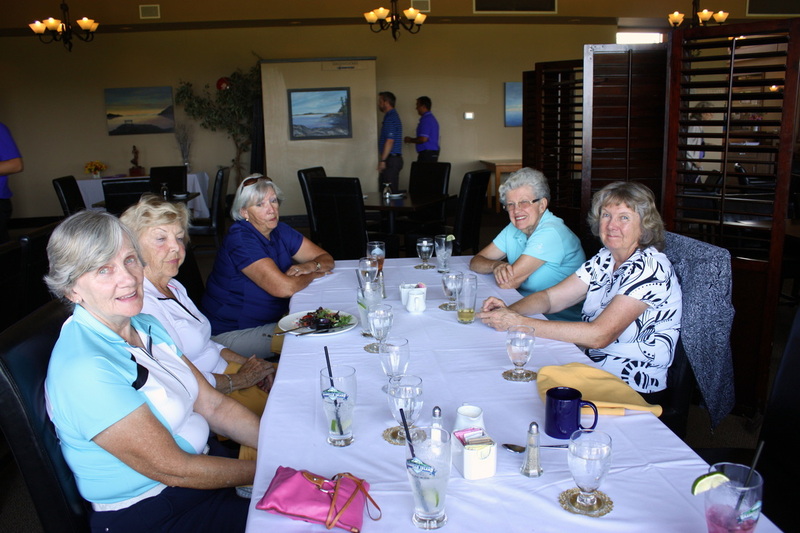 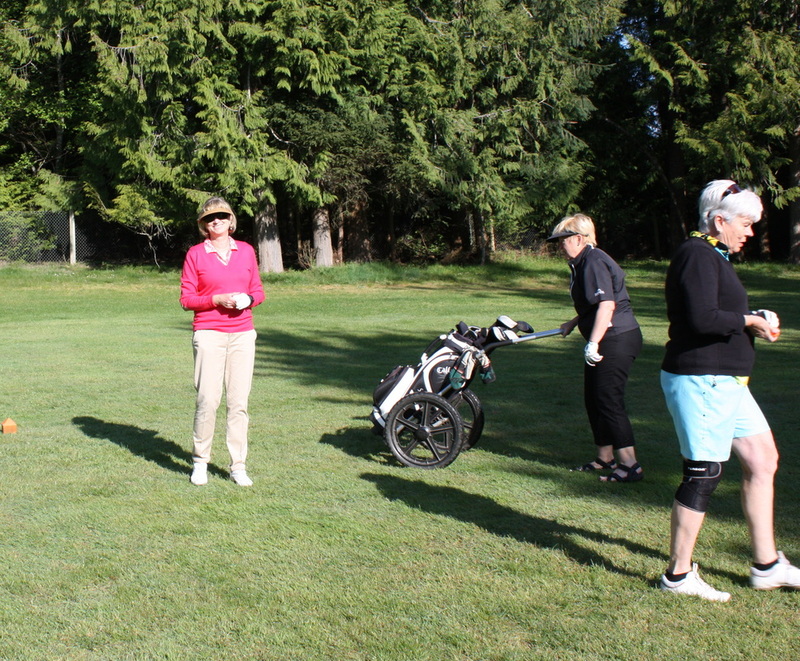 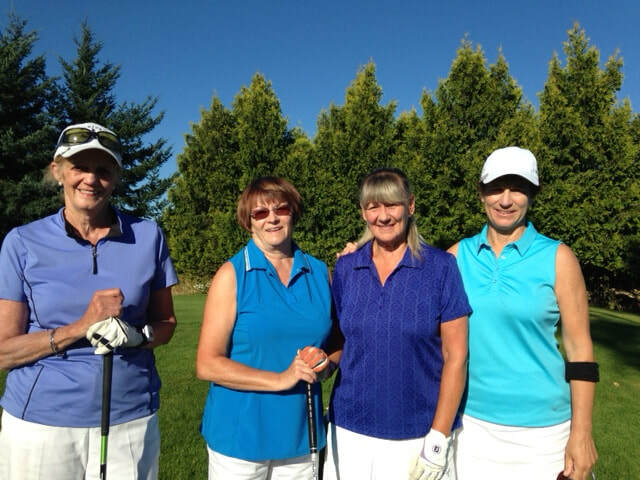 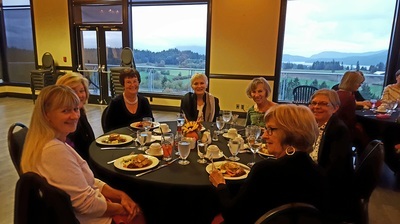 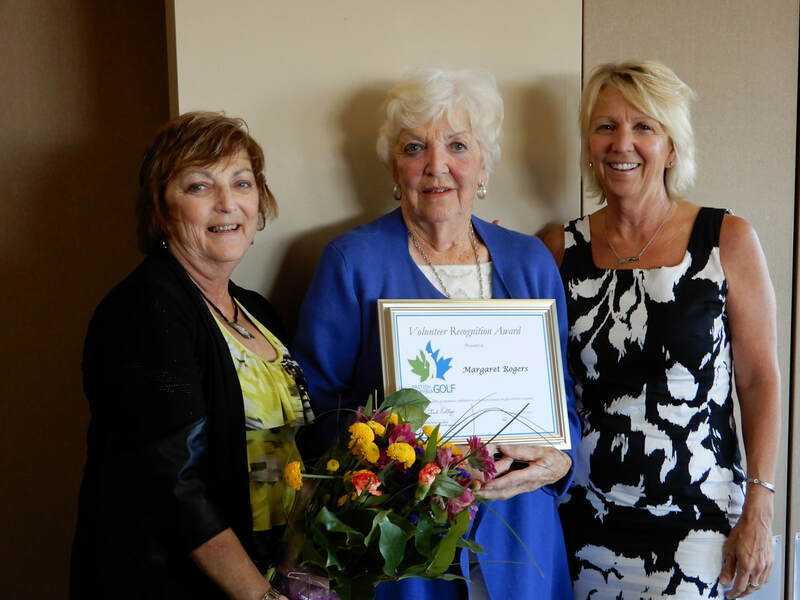 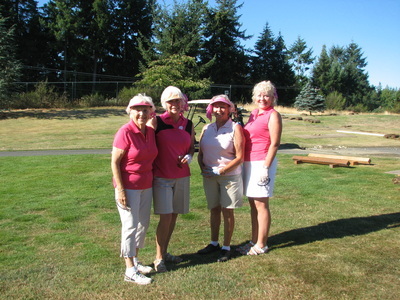 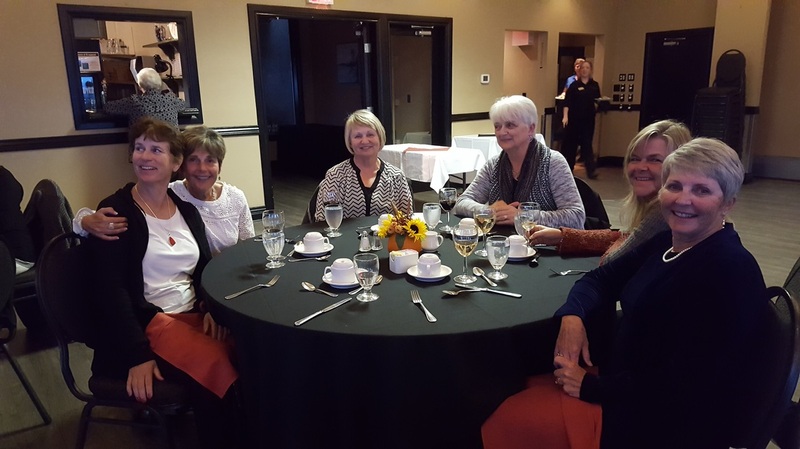 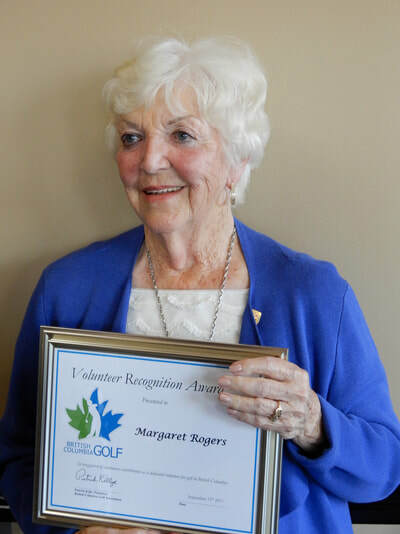 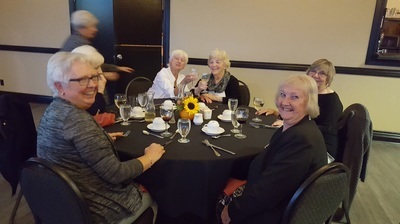 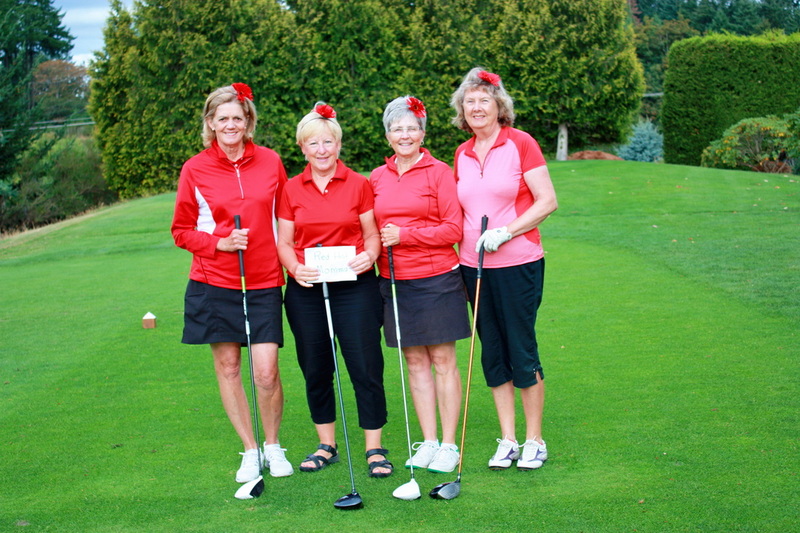 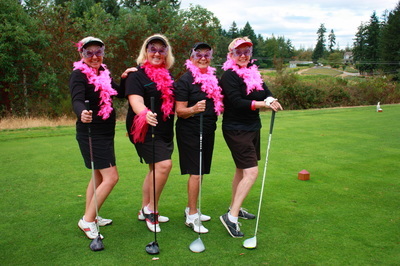 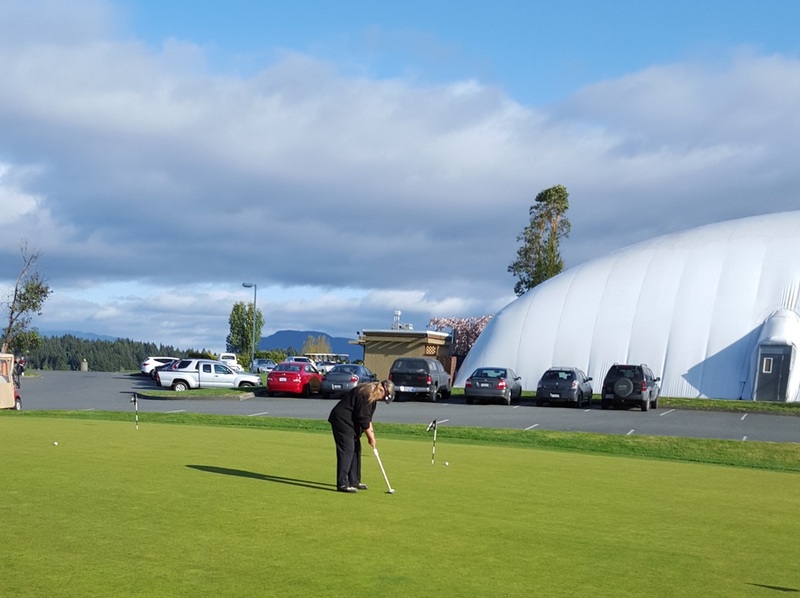 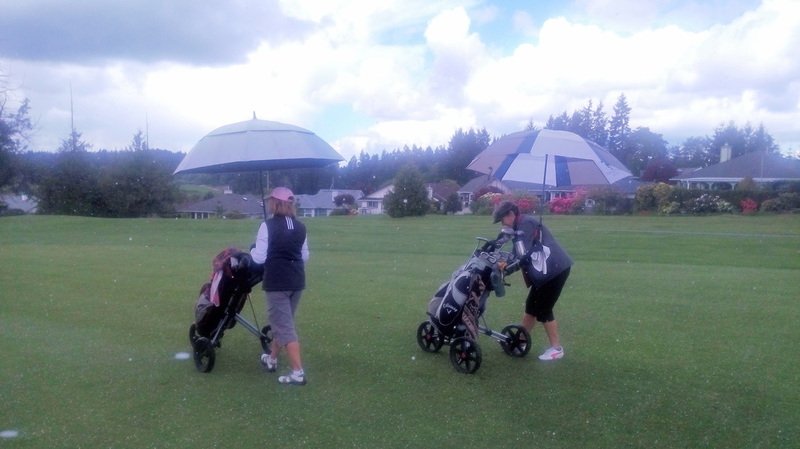 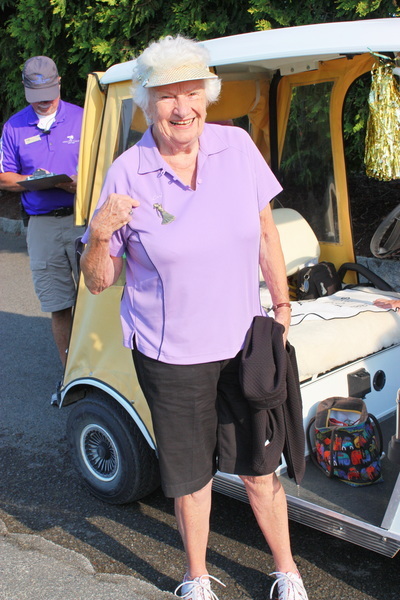 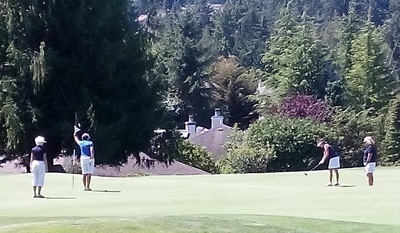 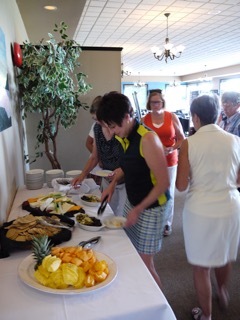 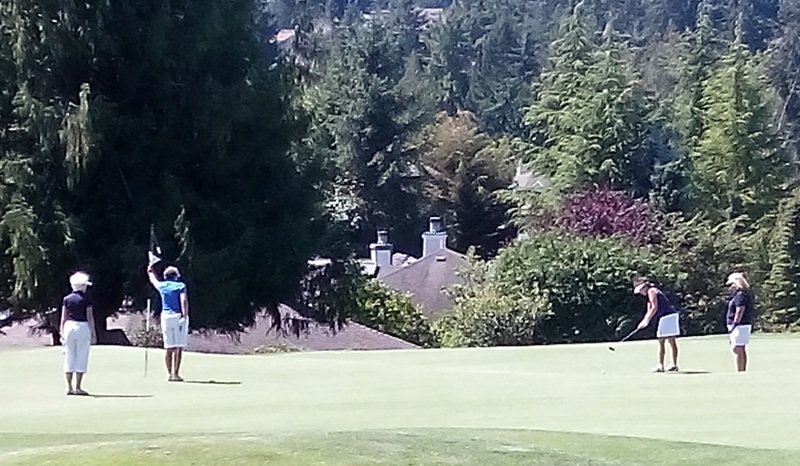 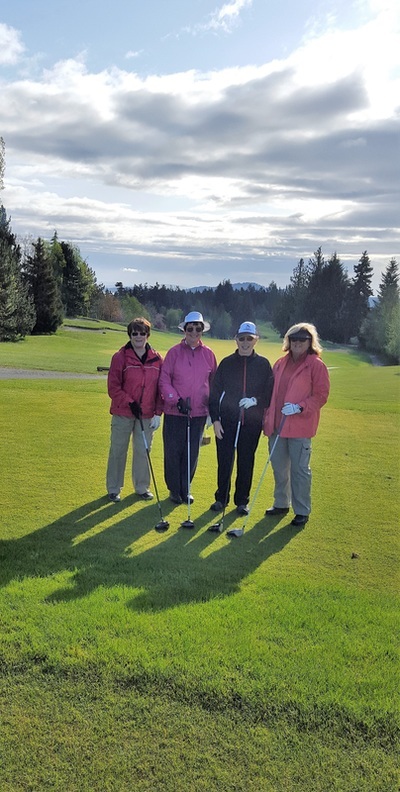 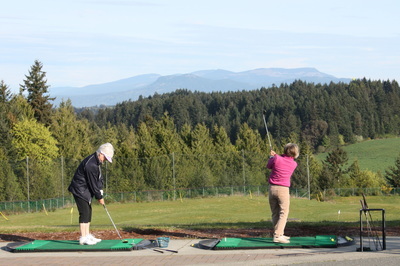 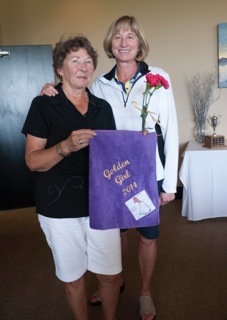 August 11th - Another beautiful day for golf, especially for our Golden Girl Tournament participants! 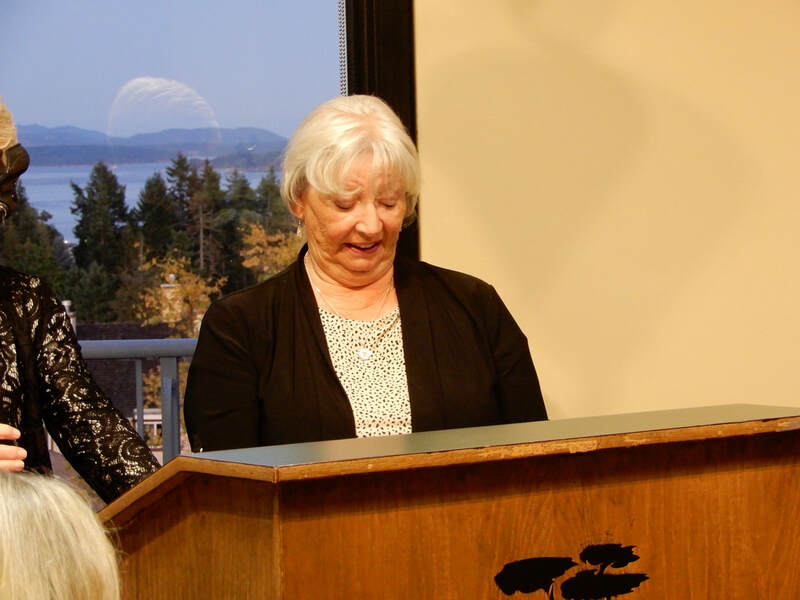 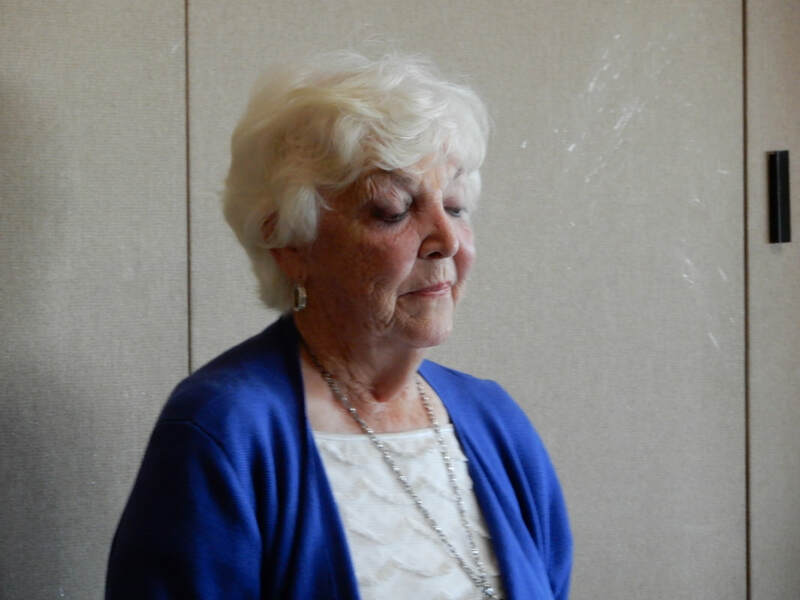 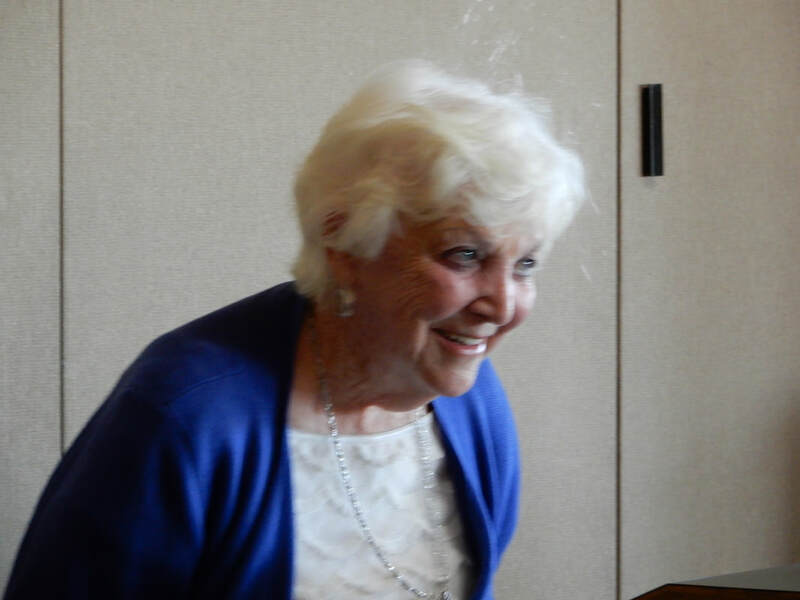 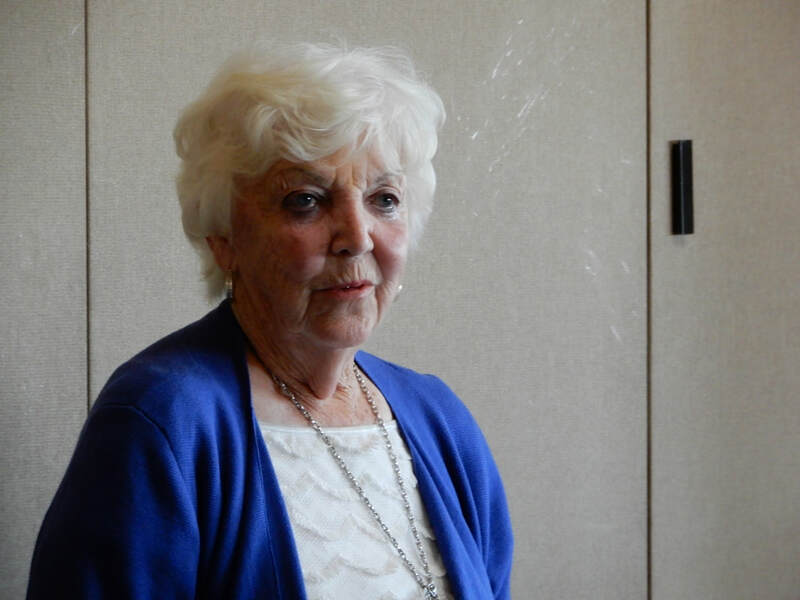 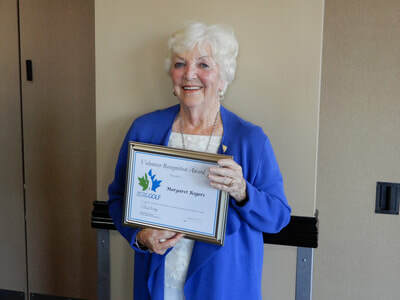 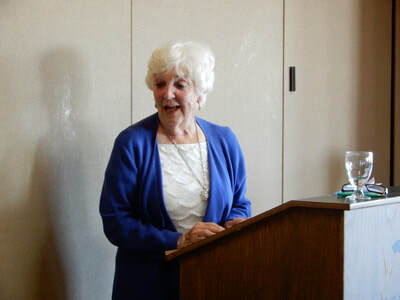 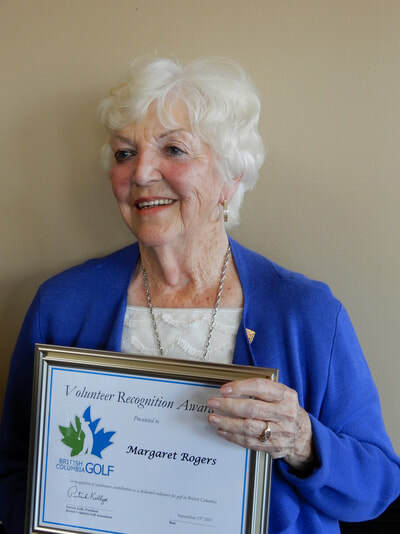 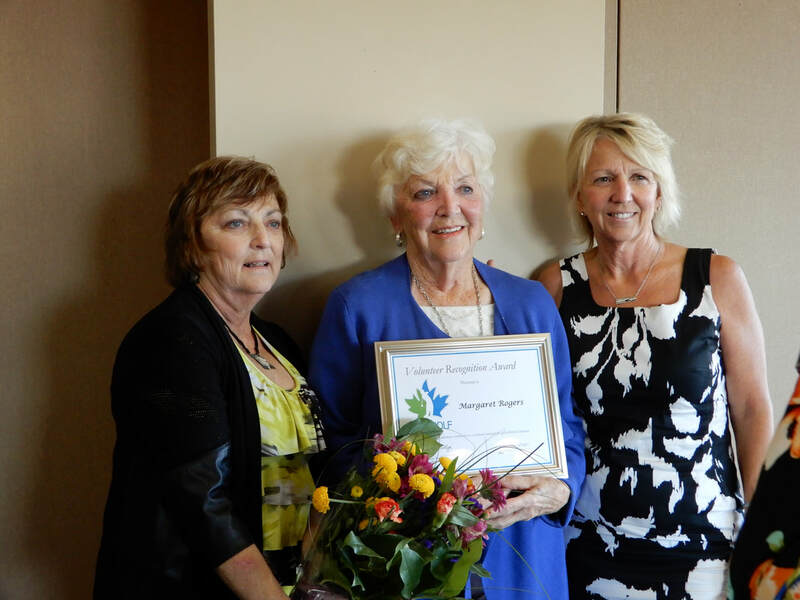 GG Runner-up Dorothy Browning. She's happy! 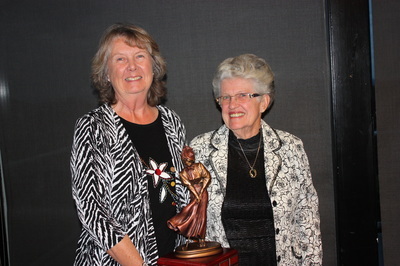 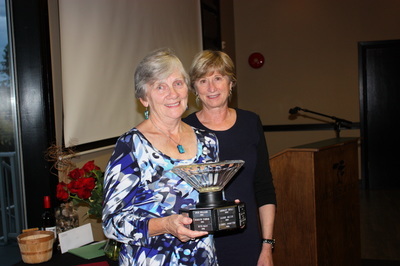 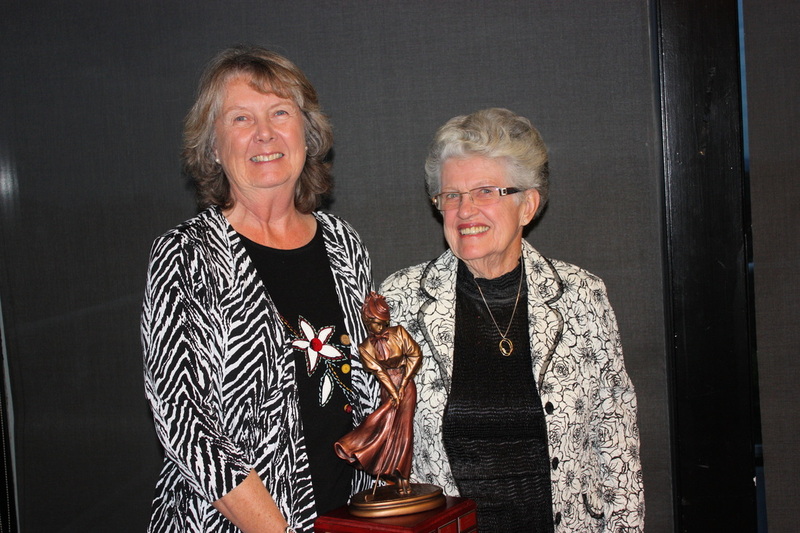 Myra Jones presenting GG winner Valerie Harris with her trophy. 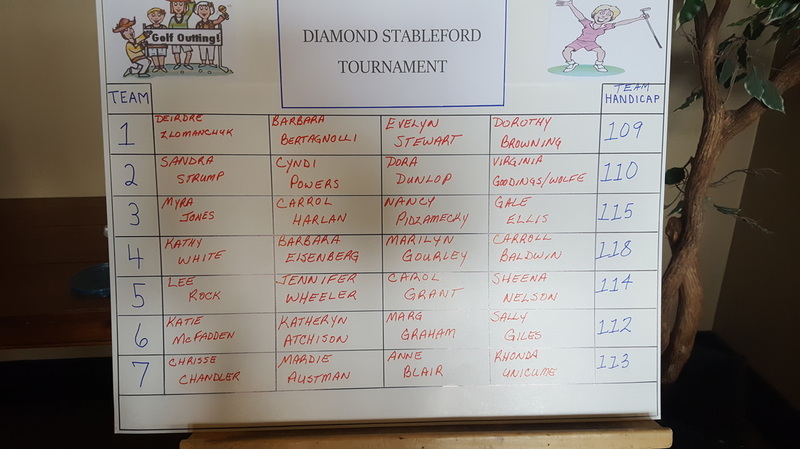 Diamond Stableford Cocktail Party - the teams are chosen! 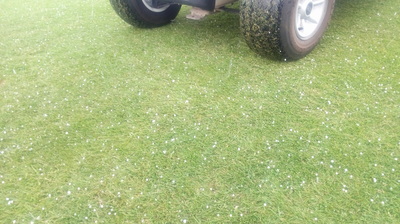 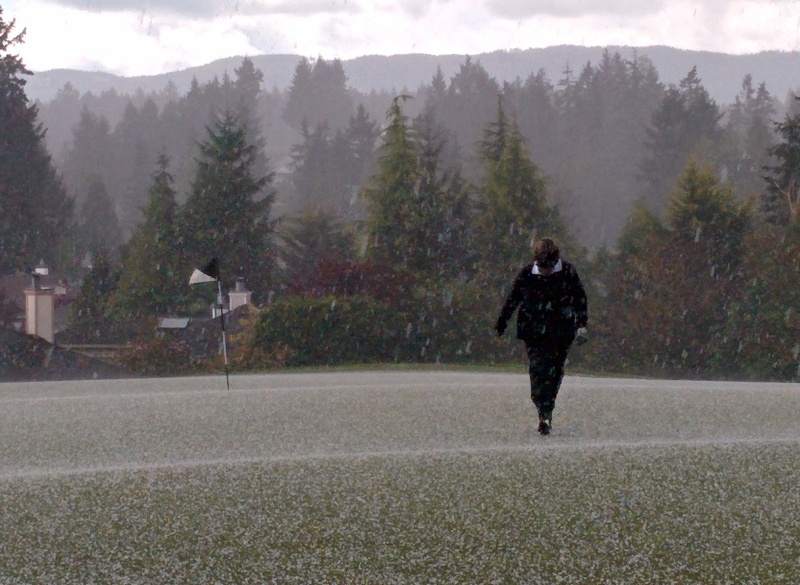 May 5, One "Hail" of a day! We still enjoyed the nickel skins game. 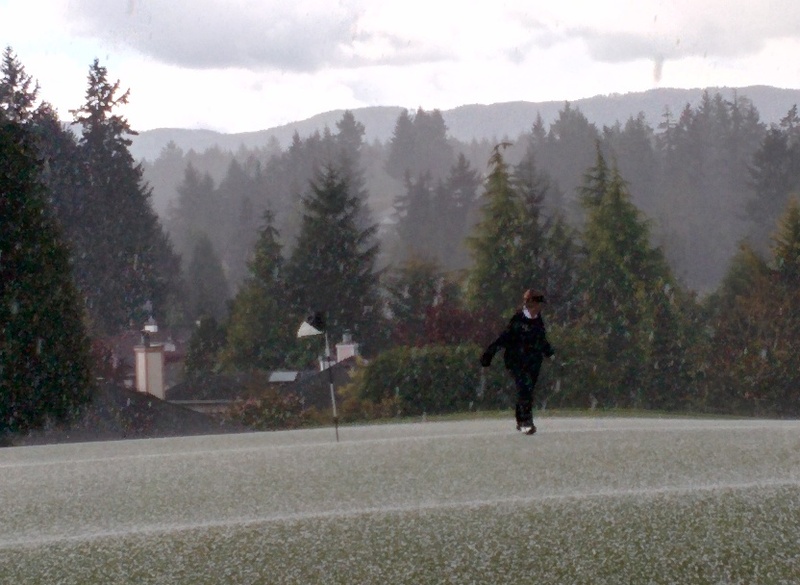 Opening Day, April 21st. 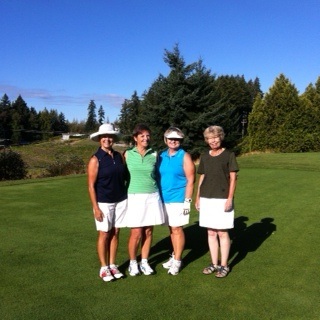 Sunshine, golf, food, and friends. What could be better? 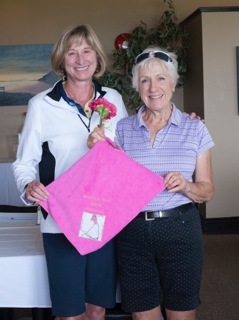 Senior Ladies winner Barbara B.